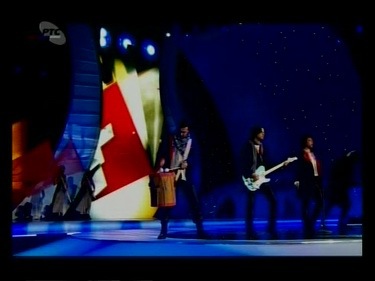 Band Regina with song "Bistra voda" (Clean water) will represent Bosnia and Herzegovina at Eurovision Song Contest 2009 in Moscow. 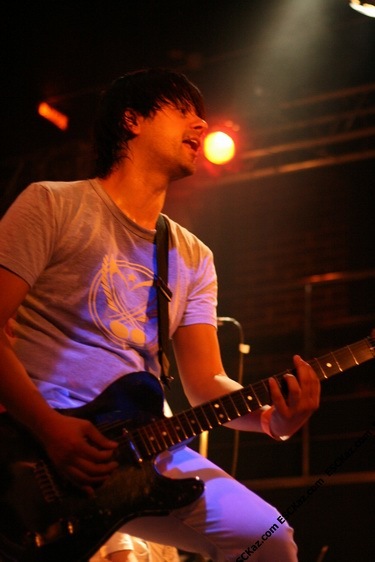 Song is written by band member and usual songwriter Aleksandar "Aco" Covic. Following persons were in preselection jury: Dejan Kukric (BHT), Jasmin Ferovic (BH Radio), Adnan Musanovic (BHRT), Goran Kovacic, Miroslav Maraus, Damir Imamovic, Mahir Sarihodzic. 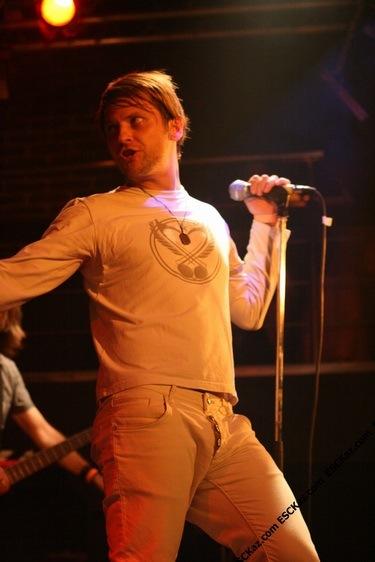 79 songs were received in a public submission. 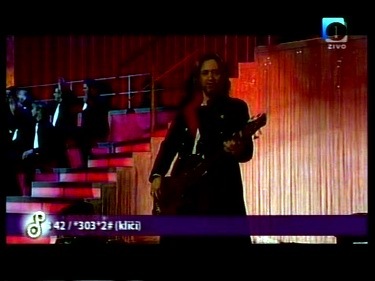 Lead singer of the band, Davor Ebner took part in Bosnian preselection 2001 with band Gruntibugli and song Ko Mi Te Uze, finishing 7th. 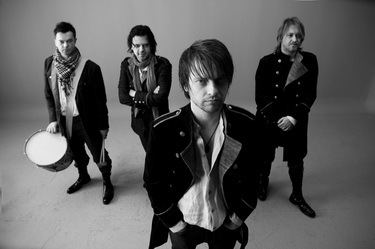 The band was formed in 1990, in Sarajevo. Three friends: Aco, Bojan and Denis started garage band. First problem was to find great singer, with something unique in voice. 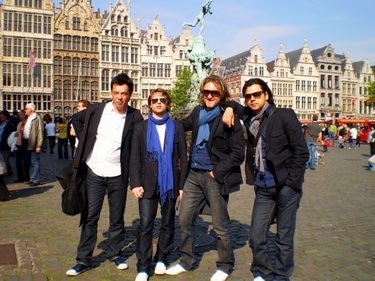 After big search for singer, Davor Ebner appeared, and the band was in the game. Year 1990. was published first album. 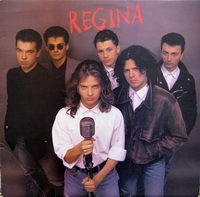 Name of album was "Regina". After publishing first album concerts went on in big scale. At beginning on territory of Bosnia and Herzegovina, and very soon all over Yugoslavia. 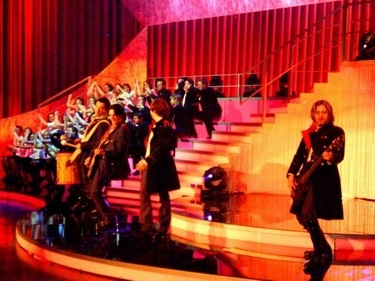 Band reached a high level of popularity among rock population, and for some concert there was need for additional performance. 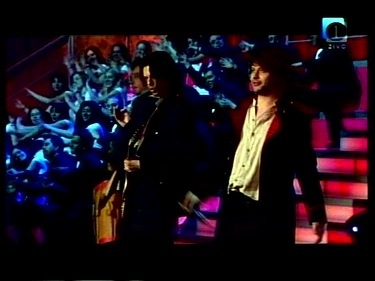 Songs for the second album were created at the start of 90's. 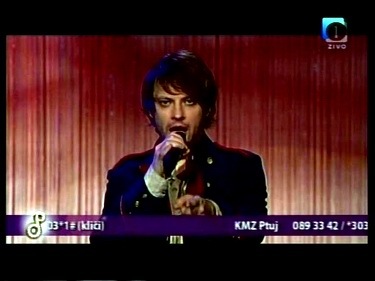 Author of lyrics and music, Aleksandar Cabric, was inspired by "U2". Band was practicing for live performance in small garage near Marin- Dvora in Sarajevo. 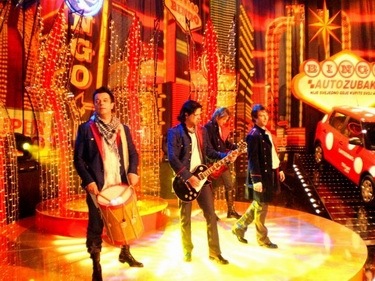 From first album songs " Spavaj", "Ne pitaj me" and " Kao nekada ona" become big hits, still very popular in ex- YU. In the year 1992. Regina is releasing the " Ljubav nije za nas". This album boost band to true rock stars in Yugoslavia. During the civil war band falls apart. The band continues to play from 1992. to 1999. under leadership of Aleksandar Covic. Regina with Aco and new members publish albums: "Regina", " Oteto od zaborava", " Godine lete", " Ja nisam kao drugi", " Kad zatvorim oci" and " Devedesete". After 2000. Aco and Davor have been working on their solo carriers, but still in shadow of former success with Regina. 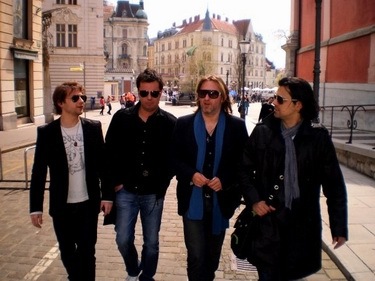 These independent careers ended in 2004 when, after meeting in Belgrade and only one discourse, they agreed to restore Regina in its former cast: Aleksandar Covic, Davor Ebner, Bojan Milicevic and Denis Cabric. 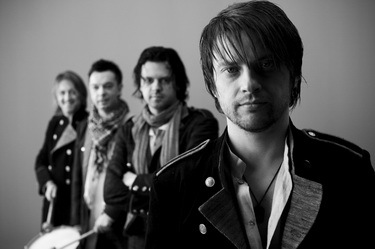 After ten month preparations the group Regina, in its former shape, recorded their new, come-back album - "Sve mogu ja". 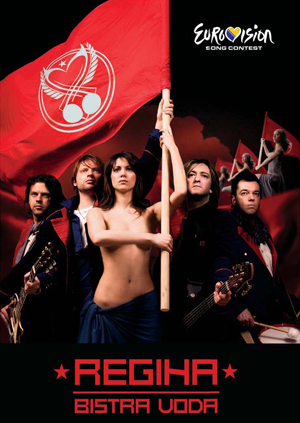 The success of this album was confirmed in a great concert tour all over Bosnia & Herzegovina. 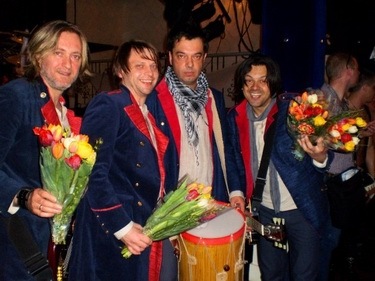 The crown of their career was their performance as a supporting act for the Rolling Stones at their concert in Budva, in July 2007. You can listen to song Bistra voda here and watch the official music video here. Russian version is available here, while English is here. Listen to Revolution remix here. CD single also includes English version remix. Website: www.gruparegina.com Р“СЂСѓРїРїР° Regina СЃ РїРµСЃРЅРµР№ "Bistra voda" (Р§РёСЃС‚Р°СЏ РІРѕРґР°) РїСЂРµРґСЃС‚Р°РІРёС‚ Р‘РѕСЃРЅРёСЋ Рё Р“РµСЂС†РµРіРѕРІРёРЅСѓ РЅР° Р•РІСЂРѕРІРёРґРµРЅРёРё 2009 РІ РњРѕСЃРєРІРµ. РђРІС‚РѕСЂ РїРµСЃРЅРё - СѓС‡Р°СЃС‚РЅРёРє Рё РїРѕСЃС‚РѕСЏРЅРЅС‹Р№ Р°РІС‚РѕСЂ РіСЂСѓРїРїС‹ РђР»РµРєСЃР°РЅРґР°СЂ "РђС†Рѕ" Р¦РѕРІРёС‡. Р’ СЃРѕСЃС‚Р°РІ РѕС‚Р±РѕСЂРѕС‡РЅРѕРіРѕ Р¶СЋСЂРё РІРѕС€Р»Рё: Dejan Kukric (BHT), Jasmin Ferovic (BH Radio), Adnan Musanovic (BHRT), Goran Kovacic, Miroslav Maraus, Damir Imamovic, Mahir Sarihodzic. Р’СЃРµРіРѕ РѕСЂРіРєРѕРјРёС‚РµС‚РѕРј Р±С‹Р»Рѕ РїРѕР»СѓС‡РµРЅРѕ 79 Р·Р°СЏРІРѕРє. РЎРѕР»РёСЃС‚ РіСЂСѓРїРїС‹, Davor Ebner РїСЂРёРЅРёРјР°Р» СѓС‡Р°СЃС‚РёРµ РІ Р‘РѕСЃРЅРёР№СЃРєРѕРј РѕС‚Р±РѕСЂРµ РЅР° Р•РІСЂРѕРІРёРґРµРЅРёРµ 2001 СЃ РіСЂСѓРїРїРѕР№ Gruntibugli Рё СЃ РїРµСЃРЅРµР№ Ko Mi Te Uze, Р·Р°РЅСЏРІ 7Рµ РјРµСЃС‚Рѕ. Р“СЂСѓРїРїР° Р±С‹Р»Р° СЃРѕР·РґР°РЅР° РІ 1990 РіРѕРґСѓ РІ РЎР°СЂР°РµРІРѕ. РўСЂРё РґСЂСѓРіР°: РђС†Рѕ, Р‘РѕР№Р°РЅ Рё Р”РµРЅРёСЃ СЂРµС€РёР»Рё СЃРѕР·РґР°С‚СЊ РіР°СЂР°Р¶РЅСѓСЋ РіСЂСѓРїРїСѓ. РџРµСЂРІРѕР№ РёС… РїСЂРѕР±Р»РµРјРѕР№ Р±С‹Р»Рѕ РЅР°Р№С‚Рё РїРµРІС†Р°, РєРѕС‚РѕСЂС‹Р№ Р±С‹ РїСЂРёРІРЅРµСЃ РІ РіСЂСѓРїРїСѓ СѓРЅРёРєР°Р»СЊРЅС‹Р№ РІРѕРєР°Р». РќРѕ РёРј СѓРґР°Р»РѕСЃСЊ РЅР°Р№С‚Рё РµРіРѕ РІ РІРёРґРµ Р”Р°РІРѕСЂР° Р­Р±РЅРµСЂР° Рё РіСЂСѓРїРїР° РЅР°С‡Р°Р»Р° СЃРІРѕСЋ СЂР°Р±РѕС‚Сѓ. Р’ СЌС‚РѕРј Р¶Рµ РіРѕРґСѓ СЃРІРµС‚ СѓРІРёРґРµР» РѕРґРЅРѕРёРјРµРЅРЅС‹Р№ РґРµР±СЋС‚РЅС‹Р№ Р°Р»СЊР±РѕРј РіСЂСѓРїРїС‹. РџРѕСЃР»Рµ РµРіРѕ РІС‹РїСѓСЃРєР° РіСЂСѓРїРїР° РЅР°С‡РёРЅР°РµС‚ РґР°РІР°С‚СЊ РєРѕРЅС†РµСЂС‚С‹ - СЃРЅР°С‡Р°Р»Р° РЅР° С‚РµСЂСЂРёС‚РѕСЂРёРё Р‘РѕСЃРЅРёРё, Р° Р·Р°С‚РµРј Рё РІСЃРµР№ Р®РіРѕСЃР»Р°РІРёРё. Р“СЂСѓРїРїР° РґРѕСЃС‚РёРіР»Р° РІС‹СЃРѕРєРѕРіРѕ СѓСЂРѕРІРЅСЏ РїРѕРїСѓР»СЏСЂРЅРѕСЃС‚Рё СЃСЂРµРґРё РІСЃРµР№ СЂРѕРє-Р°СѓРґРёС‚РѕСЂРёРё, РЅР° РєРѕРЅС†РµСЂС‚Р°С… РёРј РїРѕСЃС‚РѕСЏРЅРЅРѕ РїСЂРёС…РѕРґРёР»РѕСЃСЊ РІС‹СЃС‚СѓРїР°С‚СЊ РЅР° Р±РёСЃ. РџРµСЃРЅРё РґР»СЏ РІС‚РѕСЂРѕРіРѕ Р°Р»СЊР±РѕРјР° Р±С‹Р»Рё СЃРѕР·РґР°РЅС‹ РІ РЅР°С‡Р°Р»Рµ 90С…. РђРІС‚РѕСЂ РјСѓР·С‹РєРё Рё С‚РµРєСЃС‚Р°, РђР»РµРєСЃР°РЅРґР°СЂ Р§Р°Р±СЂРёС‡, Р±С‹Р» РІРґРѕС…РЅРѕРІР»РµРЅ С‚РІРѕСЂС‡РµСЃС‚РІРѕРј РіСЂСѓРїРїС‹ "U2". Р“СЂСѓРїРїР° СЂРµРїРµС‚РёСЂРѕРІР°Р»Р° РїРµСЂРµРґ СЃРІРѕРёРјРё РІС‹СЃС‚СѓРїР»РµРЅРёСЏРјРё РІ РјР°Р»РµРЅСЊРєРѕРј РіР°СЂР°Р¶Рµ СЂСЏРґРѕРј СЃ Marin-Dvora РІ РЎР°СЂР°РµРІРѕ. Р�Р· РїРµСЂРІРѕРіРѕ Р°Р»СЊР±РѕРјР° РїРѕРїСѓР»СЏСЂРЅС‹РјРё С…РёС‚Р°РјРё СЃС‚Р°Р»Рё РїРµСЃРЅРё " Spavaj", "Ne pitaj me" Рё " Kao nekada ona", РґРѕ СЃРёС… РїРѕСЂ РїРѕР»СЊР·СѓСЋС‰РёРµСЃСЏ РїРѕРїСѓР»СЏСЂРЅРѕСЃС‚СЊСЋ РІ Р±С‹РІС€РµР№ Р®РіРѕСЃР»Р°РІРёРё. Р’ 1992 РіРѕРґСѓ Regina РІС‹РїСѓСЃС‚РёР»Р° Р°Р»СЊР±РѕРј " Ljubav nije za nas". Р‘Р»Р°РіРѕРґР°СЂСЏ РµРјСѓ РіСЂСѓРїРїР° СЃС‚Р°Р»Р° РЅР°СЃС‚РѕСЏС‰РёРјРё СЂРѕРє-Р·РІРµР·РґР°РјРё РІ Р®РіРѕСЃР»Р°РІРёРё. Р’Рѕ РІСЂРµРјСЏ РіСЂР°Р¶РґР°РЅСЃРєРѕР№ РІРѕР№РЅС‹ РіСЂСѓРїРїР° СЂР°Р·РґРµР»СЏРµС‚СЃСЏ. РЎ 1992 РїРѕ 1999 РіРѕРґ РѕРЅР° РІС‹СЃС‚СѓРїР°РµС‚ РїРѕРґ Р»РёРґРµСЂСЃС‚РІРѕРј РђР»РµРєСЃР°РЅРґСЂР° Р¦РѕРІРёС‡Р°. Regina СЃ РђС†Рѕ Рё РЅРѕРІС‹РјРё С‡Р»РµРЅР°РјРё РёР·РґР°РµС‚ СЂСЏРґ Р°Р»СЊР±РѕРјРѕРІ: "Regina", " Oteto od zaborava", " Godine lete", " Ja nisam kao drugi", " Kad zatvorim oci" Рё " Devedesete". РЎ 2000 РіРѕРґР° РђС†Рѕ Рё Р”Р°РІРѕСЂ РЅР°С‡РёРЅР°СЋС‚ СЃРѕР»СЊРЅС‹Рµ РєР°СЂСЊРµСЂС‹, РєРѕС‚РѕСЂС‹Рµ РѕРґРЅР°РєРѕ, РѕСЃС‚Р°Р»РёСЃСЊ РІ С‚РµРЅРё РёС… Р±С‹РІС€РµРіРѕ СѓСЃРїРµС…Р° СЃ Regina. Р­С‚Рё РЅРµР·Р°РІРёСЃРёРјС‹Рµ РєР°СЂСЊРµСЂС‹ РїРѕРґРѕС€Р»Рё Рє РєРѕРЅС†Сѓ РІ 2004, РєРѕРіРґР° СѓС‡Р°СЃС‚РЅРёРєРё РіСЂСѓРїРїС‹ СЃРЅРѕРІР° РІСЃС‚СЂРµС‚РёР»РёСЃСЊ РІ Р‘РµР»РіСЂР°РґРµ Рё СЂРµС€РёР»Рё РІРѕСЃСЃРѕРµРґРёРЅРёС‚СЊ Р РµРіРёРЅСѓ РІ РїСЂРµР¶РЅРµРј СЃРѕСЃС‚Р°РІРµ: РђР»РµРєСЃР°РЅРґР°СЂ Р§РѕРІРёС‡, Р”Р°РІРѕСЂ Р­Р±РЅРµСЂ, Р‘РѕСЏРЅ РњРёР»РёС‡РµРІРёС‡ Рё Р”РµРЅРёСЃ Р§Р°Р±СЂРёС‡. РџРѕСЃР»Рµ 10 РјРµСЃСЏС†РµРІ РїРѕРґРіРѕС‚РѕРІРєРё СЃРІРµС‚ СѓРІРёРґРµР» РЅРѕРІС‹Р№ Р°Р»СЊР±РѕРј РіСЂСѓРїРїС‹ "Sve mogu ja". РЈСЃРїРµС… Р°Р»СЊР±РѕРјР° Р±С‹Р» Р·Р°РєСЂРµРїР»РµРЅ РєРѕРЅС†РµСЂС‚РЅС‹Рј С‚СѓСЂРѕРј РїРѕ РІСЃРµР№ Р‘РѕСЃРЅРёРё Рё Р“РµСЂС†РµРіРѕРІРёРЅРµ. Р’РµСЂС€РёРЅРѕР№ РєР°СЂСЊРµСЂС‹ РіСЂСѓРїРїС‹ СЃС‚Р°РЅРѕРІРёС‚СЃСЏ РµРµ РІС‹СЃС‚СѓРїР»РµРЅРёРµ РЅР° СЂР°Р·РѕРіСЂРµРІРµ Rolling Stones РЅР° РєРѕРЅС†РµСЂС‚Рµ РІ Р‘СѓРґРІРµ, РІ РёСЋР»Рµ 2007 РіРѕРґР°. Р”РµС‚Р°Р»СЊРЅСѓСЋ РёРЅС„РѕСЂРјР°С†РёСЋ Рѕ С‡Р»РµРЅР°С… РіСЂСѓРїРїС‹ РІС‹ РјРѕР¶РµС‚Рµ РЅР°Р№С‚Рё Р·РґРµСЃСЊ (РЅР° Р°РЅРіР»РёР№СЃРєРѕРј). РџСЂРѕСЃР»СѓС€Р°С‚СЊ РїРµСЃРЅСЋ Bistra voda РІС‹ РјРѕР¶РµС‚Рµ Р·РґРµСЃСЊ, РїРѕСЃРјРѕС‚СЂРµС‚СЊ РІРёРґРµРѕРєР»РёРї - Р·РґРµСЃСЊ. Р СѓСЃСЃРєР°СЏ РІРµСЂСЃРёСЏ РґРѕСЃС‚СѓРїРЅР° Р·РґРµСЃСЊ, Р°РЅРіР»РёР№СЃРєР°СЏ РІРµСЂСЃРёСЏ - Р·РґРµСЃСЊ. Revolution remix РјРѕР¶РЅРѕ РїСЂРѕСЃР»СѓС€Р°С‚СЊ Р·РґРµСЃСЊ. РќР° РїСЂРѕРјРѕ РґРёСЃРє С‚Р°РєР¶Рµ РІРѕС€РµР» СЂРµРјРёРєСЃ Р°РЅРіР»РёР№СЃРєРѕР№ РІРµСЂСЃРёРё. u mome kraju gdje mi duЕЎa stanuje. ДЊuvam te dok sam Еѕiv. And I wonder where could it be? - Hi, band Regina members, and first of all our congratulations for being selected Bosnian representatives at the Eurovision 2009! How do you feel now, being a Eurovision participants? - Thank you. 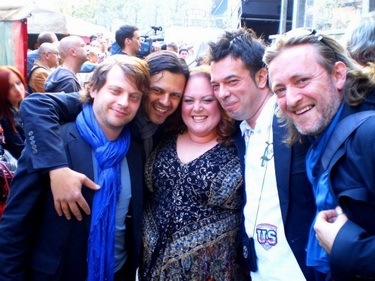 ESC is best place where you can see artists from all around Europe. We are very proud to be part of that this year. - How can you describe your song Bistra voda in one phrase? - Can you tell shortly the story of the song creation? Was it written specially for the contest? - Song Bistra voda motivated us to go to Eurovision. It is simply best song for that kind of manifestation. It is originally enough and with its form you can say everything you wanted in 3 minutes. 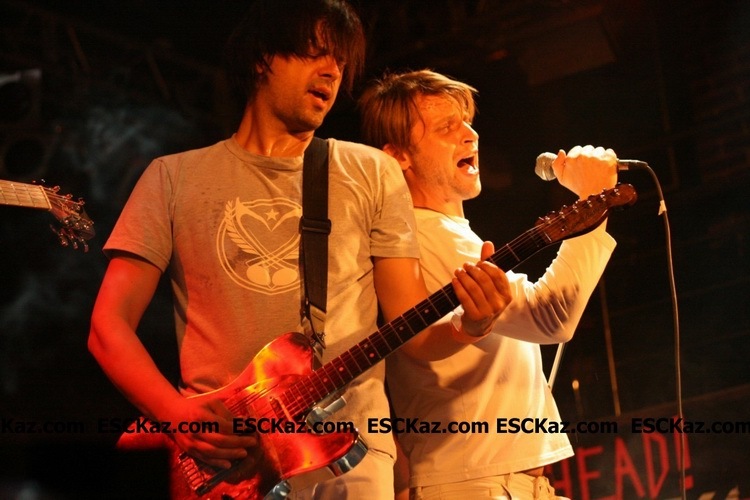 - It is not fully in style of the band known for more-rockish songs, do you feel comfortable performing it? 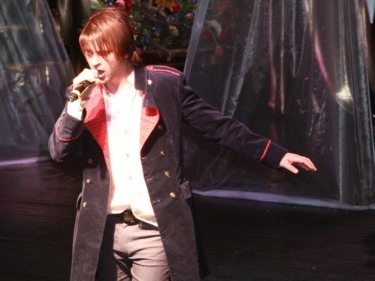 - It is very nice to perform song and watching audience enjoying with you. Is it rock or something else it is less important. The most important is that we feel great in all of that and that we are proud on our song. - Will your stage presentation for Moscow similar to the way song has been presented at BH Eurosong, or are you planning some special features for the international audience? - Can you explain to our readers what do you mean under your stage concept, it is something connected with USSR and typical Soviet art of 20s? What message your want to bring to the viewers? - Can you tell us more about the music video for your entry, why youвЂ™ve selected Belgrade to film it? 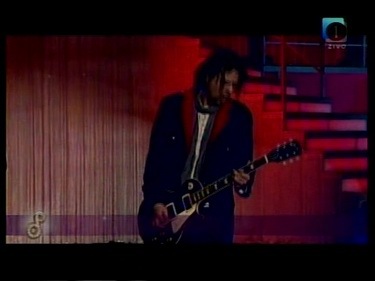 - Video was shot in studio so place of shooting was not vital. We are people that are emotionally tied with all ex Yu countries, Sarajevo, Podgorica, Zagreb, Belgrade, Skopje, Ljubljana everywhere we feel like home. 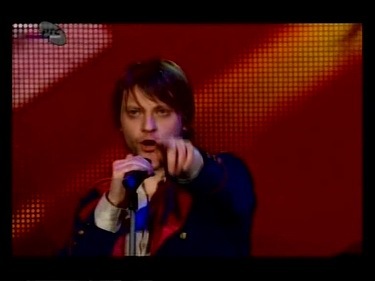 - You're going to perform in Bosnian on Eurovision stage. Was it natural or difficult decision? - It is natural that we sing on our language since it is the best way to express. - ESC became lately one inevitable event. We are glad that artists from our countries had great results in previous ESCs. - We are coming to Moscow with clear ambition and intention to achieve good result. We think that we have real chances for that. We are sure that audience all around Europe will love our song. - What will be the key factor in your preparations, which will help you to reach the goal youвЂ™ve set? - Our country is not so big and we donвЂ™t have money for big promotions but internet is very important in promotion. We have clear concept, we will have great performance in Moscow and that is pretty much. Let the music win! - You have already launched your promotional tour. Do you think in general that pre-contest promotion is important for the contest success? What will be your next destination? 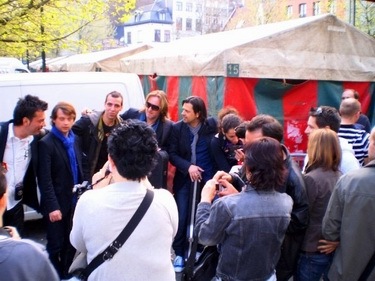 - Behind us there are plenty of released albums and shows. Since now we are familiar with audience in region. 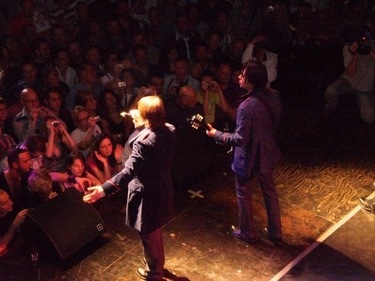 The thing that could be interesting for you is that we played like support band on Rolling Stones show in Montenegro. That was really great experience, like boys dream coming true. - Our new album is finished but the release will wait after ES, then we will present to audience new songs. 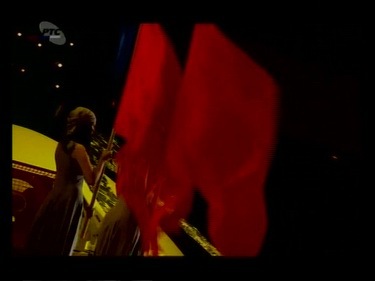 For now we are concentrated on song Bistra voda and ESC. - We had opportunity to see Ruslana three years ago in Budva where we had our promotion. 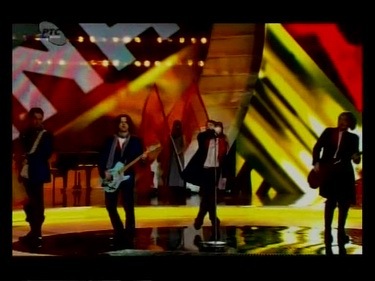 And of course last year we saw all performers at ESC in Belgrade. - Thank you for the interview, good luck with your preparations and see you in Moscow! - РџСЂРёРІРµС‚, РіСЂСѓРїРїР° Р РµРіРёРЅР°, Рё РїСЂРµР¶РґРµ РІСЃРµРіРѕ, РЅР°С€Рё РїРѕР·РґСЂР°РІР»РµРЅРёСЏ СЃ С‚РµРј, С‡С‚Рѕ РІС‹ СЃС‚Р°Р»Рё РїСЂРµРґСЃС‚Р°РІРёС‚РµР»СЏРјРё Р‘РѕСЃРЅРёРё РЅР° Р•РІСЂРѕРІРёРґРµРЅРёРё 2009! Р§С‚Рѕ РІС‹ С‡СѓРІСЃС‚РІСѓРµС‚Рµ СЃРµР№С‡Р°СЃ, РїРѕРїР°РІ РЅР° СЌС‚РѕС‚ РєРѕРЅРєСѓСЂСЃ? - РЎРїР°СЃРёР±Рѕ. Р•РІСЂРѕРІРёРґРµРЅРёРµ СЌС‚Рѕ РјРµСЃС‚Рѕ, РіРґРµ РјРѕР¶РЅРѕ СѓРІРёРґРµС‚СЊ Р°СЂС‚РёСЃС‚РѕРІ СЃРѕ РІСЃРµР№ Р•РІСЂРѕРїС‹. РњС‹ РѕС‡РµРЅСЊ СЂР°РґС‹ РІРѕР·РјРѕР¶РЅРѕСЃС‚Рё СЃС‚Р°С‚СЊ РµРіРѕ С‡Р°СЃС‚СЊСЋ РІ СЌС‚РѕРј РіРѕРґСѓ. - РљР°Рє Р±С‹ РІС‹ РѕРїРёСЃР°Р»Рё РІР°С€Сѓ РїРµСЃРЅСЋ Bistra Voda РІ РѕРґРЅРѕРј РїСЂРµРґР»РѕР¶РµРЅРёРё? - РњРѕР¶РµС‚Рµ Р»Рё РІС‹ СЂР°СЃСЃРєР°Р·Р°С‚СЊ РЅР°Рј РѕР± РёСЃС‚РѕСЂРёРё СЃРѕР·РґР°РЅРёСЏ РїРµСЃРЅРё, РїРёСЃР°Р»Р°СЃСЊ Р»Рё РѕРЅР° СЃРїРµС†РёР°Р»СЊРЅРѕ РґР»СЏ Р•РІСЂРѕРІРёРґРµРЅРёСЏ? - РќР°Р»РёС‡РёРµ СЌС‚РѕР№ РїРµСЃРЅРё - СЌС‚Рѕ Рё РµСЃС‚СЊ С‚Рѕ, С‡С‚Рѕ РїРѕРґРІРёРіР»Рѕ РЅР°СЃ Рє СѓС‡Р°СЃС‚РёСЋ РІ Р•РІСЂРѕРІРёРґРµРЅРёРё. Р­С‚Рѕ Р»СѓС‡С€Р°СЏ РїРµСЃРЅСЏ РґР»СЏ РїРѕРґРѕР±РЅРѕРіРѕ РєРѕРЅРєСѓСЂСЃР°. РћРЅР° РѕС‡РµРЅСЊ РѕСЂРёРіРёРЅР°Р»СЊРЅР° Рё СЃ РµРµ С„РѕСЂРјРѕР№ РјРѕР¶РЅРѕ РІС‹СЃРєР°Р·Р°С‚СЊ Р·Р° С‚СЂРё РјРёРЅСѓС‚С‹ РІСЃРµ, С‡С‚Рѕ Р±С‹ С…РѕС‚РµР»РѕСЃСЊ. - РћРЅР° РЅРµ СЃРѕРІСЃРµРј РІ СЃС‚РёР»Рµ РІР°С€РµР№ РіСЂСѓРїРїС‹, РјС‹ РїСЂРёРІС‹РєР»Рё Рє Р±РѕР»РµРµ СЂРѕРє-РїРµСЃРЅСЏРј, РІС‹ РєРѕРјС„РѕСЂС‚РЅРѕ С‡СѓРІСЃС‚РІСѓРµС‚Рµ СЃРµР±СЏ РёСЃРїРѕР»РЅСЏСЏ РµРµ? - Р�СЃРїРѕР»РЅСЏС‚СЊ РЅР°Рј СЌС‚Сѓ РїРµСЃРЅСЋ РѕС‡РµРЅСЊ РЅСЂР°РІРёС‚СЃСЏ Рё РµС‰Рµ Р±РѕР»СЊС€Рµ РЅСЂР°РІРёС‚СЃСЏ СЃРјРѕС‚СЂРµС‚СЊ РєР°Рє Р°СѓРґРёС‚РѕСЂРёСЏ РїРѕР»СѓС‡Р°РµС‚ СѓРґРѕРІРѕР»СЊСЃС‚РІРёРµ РѕС‚ РЅРµ. Рђ СЂРѕРє РѕРЅР° РёР»Рё РЅРµС‚, СЌС‚Рѕ РЅРµ СЃС‚РѕР»СЊ РІР°Р¶РЅРѕ. РќР°РёР±РѕР»РµРµ РІР°Р¶РЅРѕ С‚Рѕ, С‡С‚Рѕ РјС‹ СЃРµР±СЏ РІ РЅРµР№ РѕС‚Р»РёС‡РЅРѕ С‡СѓРІСЃС‚РІСѓРµРј Рё РјС‹ РіРѕСЂРґРёРјСЃСЏ СЌС‚РѕР№ РїРµСЃРЅРµР№. - Р‘СѓРґРµС‚ Р»Рё РІР°С€Рµ РІС‹СЃС‚СѓРїР»РµРЅРёРµ РІ РњРѕСЃРєРІРµ РїРѕС…РѕР¶Рµ РЅР° С‚Рѕ, С‡С‚Рѕ РјС‹ РІРёРґРµР»Рё РІРѕ РІСЂРµРјСЏ Р‘РѕСЃРЅРёР№СЃРєРѕР№ РїСЂРµР·РµРЅС‚Р°С†РёРё, РёР»Рё РІС‹ РїР»Р°РЅРёСЂСѓРµС‚Рµ РїСЂРёРІРЅРµСЃС‚Рё С‡С‚Рѕ-С‚Рѕ РЅРѕРІРѕРµ РґР»СЏ РјРµР¶РґСѓРЅР°СЂРѕРґРЅРѕР№ Р°СѓРґРёС‚РѕСЂРёРё? - РџРѕРєР° РјС‹ РЅРёС‡РµРіРѕ РЅРµ СЂР°СЃСЃРєР°Р¶РµРј. РџСЂРёРґРµС‚СЃСЏ РїРѕРґРѕР¶РґР°С‚СЊ РЅР°С‡Р°Р»Р° СЂРµРїРµС‚РёС†РёР№ РІ РњРѕСЃРєРІРµ, С‡С‚РѕР±С‹ СѓРІРёРґРµС‚СЊ, С‡С‚Рѕ РјС‹ РїСЂРёРІРµР·РµРј СЃ СЃРѕР±РѕР№. - РњРѕРіР»Рё Р±С‹ РІС‹ РѕР±СЉСЏСЃРЅРёС‚СЊ РЅР°С€РёРј С‡РёС‚Р°С‚РµР»СЏРј РІР°С€Сѓ РєРѕРЅС†РµРїС†РёСЋ, СЌС‚Рѕ С‡С‚Рѕ-С‚Рѕ СЃРІСЏР·Р°РЅРЅРѕРµ СЃ РЎРѕРІРµС‚СЃРєРёРј РЎРѕСЋР·РѕРј Рё РёСЃРєСѓСЃСЃС‚РІРѕРј РїСЂРѕРїР°РіР°РЅРґС‹ 1920С… РіРѕРґРѕРІ? РљР°РєРѕР№ РјРµСЃСЃР°РґР¶ РІС‹ С…РѕС‚РёС‚Рµ СЌС‚РёРј РїРµСЂРµРґР°С‚СЊ Р·СЂРёС‚РµР»СЏРј? - Р’С‹ Р°Р±СЃРѕР»СЋС‚РЅРѕ С‚РѕС‡РЅРѕ СЃРІСЏР·Р°Р»Рё РЅР°С€Рµ РІС‹СЃС‚СѓРїР»РµРЅРёРµ РѕСЃРЅРѕРІР°РЅРѕ РЅР° 20Рј РІРµРєРµ. РќР°С€ Р°СЂС‚-РґРёСЂРµРєС‚РѕСЂ, Р‘РѕСЂРёСЃ РњРёР»СЊРєРѕРІРёС‡ (РєРѕС‚РѕСЂС‹Р№ С‚Р°РєР¶Рµ Р±С‹Р» Р°СЂС‚-РґРёСЂРµРєС‚РѕСЂРѕРј Р•РІСЂРѕРІРёРґРµРЅРёСЏ 2008 РІ Р‘РµР»РіСЂР°РґРµ) СЂРµС€РёР», С‡С‚Рѕ РЅР°С€Р° РїРµСЃРЅСЏ РѕС‡РµРЅСЊ СЂРѕРјР°РЅС‚РёС‡РЅР°СЏ Рё РїСЂРµРґР»РѕР¶РёР» РЅР°Рј РёСЃРїРѕР»СЊР·РѕРІР°С‚СЊ РєРѕРЅС†РµРїС†РёСЋ "СЃРѕР»РґР°С‚РѕРІ Р»СЋР±РІРё", РєРѕС‚РѕСЂС‹РјРё, РІ РѕР±С‰РµРј-С‚Рѕ, РјС‹ Рё СЏРІР»СЏРµРјСЃСЏ. РќР°С€Р° С†РµР»СЊ, СЃРѕР±СЂР°С‚СЊ Р»СЋРґРµР№ РІРјРµСЃС‚Рµ Рё СЃРѕР·РґР°С‚СЊ РјРµР¶РґСѓ РЅРёРјРё РЅРѕРІС‹Рµ РјРѕСЃС‚С‹, РёС… СЃРѕРµРґРёРЅСЏСЋС‰РёРµ. - Р Р°СЃСЃРєР°Р¶РёС‚Рµ РЅР°Рј Рѕ РІРёРґРµРѕРєР»РёРїРµ РЅР° РІР°С€Сѓ РїРµСЃРЅСЋ, РїРѕС‡РµРјСѓ РІС‹ СЃРЅСЏР»Рё РµРіРѕ РІ Р‘РµР»РіСЂР°РґРµ? - РџРѕСЃРєРѕР»СЊРєСѓ СЃСЉРµРјРєРё РїСЂРѕС…РѕРґРёР»Рё РІ СЃС‚СѓРґРёРё, С‚Рѕ РЅР° СЃР°РјРѕРј РґРµР»Рµ, РјРµСЃС‚Рѕ СЃСЉРµРјРѕРє РЅРµ РёРіСЂР°РµС‚ РЅРёРєР°РєРѕР№ СЂР°Р·РЅРёС†С‹. РњС‹ СЃРІСЏР·Р°РЅС‹ СЃРѕ РІСЃРµРјРё СЃС‚СЂР°РЅР°РјРё Р±С‹РІС€РµР№ Р®РіРѕСЃР»Р°РІРёРё, РіРґРµ Р±С‹ РјС‹ РЅРё Р±С‹Р»Рё - РІ РЎР°СЂР°РµРІРѕ, РџРѕРґРіРѕСЂРёС†Рµ, Р—Р°РіСЂРµР±Рµ, Р‘РµР»РіСЂР°РґРµ, РЎРєРѕРїСЊРµ, Р›СЋР±Р»СЏРЅРµ, Рё РІРµР·РґРµ РјС‹ С‡СѓРІСЃС‚РІСѓРµРј СЃРµР±СЏ РєР°Рє РґРѕРјР°. - РќР° Р•РІСЂРѕРІРёРґРµРЅРёРё РІС‹ СЂРµС€РёР»Рё РїРµС‚СЊ РЅР° Р±РѕСЃРЅРёР№СЃРєРѕРј. Р›РµРіРєРѕ Р»Рё РґР°Р»РѕСЃСЊ СЌС‚Рѕ СЂРµС€РµРЅРёРµ? - Р”Р°, РѕС‡РµРЅСЊ Р»РµРіРєРѕ, РїРѕС‚РѕРјСѓ С‡С‚Рѕ РІС‹СЂР°Р·РёС‚СЊ СЃРІРѕРё С‡СѓРІСЃС‚РІР° РІСЃРµРіРґР° Р»РµРіС‡Рµ, РёСЃРїРѕР»РЅСЏСЏ РїРµСЃРЅСЋ РЅР° СЂРѕРґРЅРѕРј СЏР·С‹РєРµ. - РџР»Р°РЅРёСЂСѓРµС‚Рµ Р»Рё РІС‹ Р·Р°РїРёСЃР°С‚СЊ РµС‰Рµ РєР°РєРёРµ-С‚Рѕ РІРµСЂСЃРёРё РІР°С€РµРіРѕ С‚СЂРµРєР°, РЅР° РґСЂСѓРіРёС… СЏР·С‹РєР°С…, СЂРµРјРёРєСЃС‹. - Р”Р°, РјС‹ СЂР°Р±РѕС‚Р°РµРј РЅР°Рґ СЌС‚РёРј РІРѕРїСЂРѕСЃРѕРј. Р”Р»СЏ РЅР°С‡Р°Р»Р° РјС‹ С…РѕС‚РёРј РІС‹РїСѓСЃС‚РёС‚СЊ РІРµСЂСЃРёРё РЅР° Р°РЅРіР»РёР№СЃРєРѕРј Рё СЂСѓСЃСЃРєРѕРј, РЅРѕ РІРѕРѕР±С‰Рµ РјС‹ Р±С‹ С…РѕС‚РµР»Рё РїРµСЂРµРІРµСЃС‚Рё РїРµСЃРЅСЋ РЅР° С‚Р°Рє РјРЅРѕРіРѕ СЏР·С‹РєРѕРІ, РЅР°СЃРєРѕР»СЊРєРѕ СЌС‚Рѕ РІРѕР·РјРѕР¶РЅРѕ. РњРѕР¶РµС‚ РєР°РєРёРµ-С‚Рѕ РёР· РІРµСЂСЃРёР№ С‚Р°РєР¶Рµ СЃС‚Р°РЅСѓС‚ С…РёС‚Р°РјРё. РќРѕ СЌС‚Рѕ Р·Р°РІРёСЃРёС‚ РѕС‚ РЅР°С€РµРіРѕ РІСЂРµРјРµРЅРё Рё РІРґРѕС…РЅРѕРІРµРЅРёСЏ. - Р’С‹ РѕР±С‹С‡РЅРѕ СЃР»РµРґРёС‚Рµ Р·Р° СЃР°РјРёРј Р•РІСЂРѕРІРёРґРµРЅРёРµРј? Р•СЃС‚СЊ Р»Рё Сѓ РІР°СЃ РєР°РєРёРµ-С‚Рѕ РІРѕСЃРїРѕРјРёРЅР°РЅРёСЏ СЃРІСЏР·Р°РЅРЅС‹Рµ СЃ РЅРёРј? - Р•РІСЂРѕРІРёРґРµРЅРёРµ РІ РїРѕСЃР»РµРґРЅРёРµ РіРѕРґС‹ СЃС‚Р°Р»Рѕ РЅРµРѕС‚СЉРµРјР»РёРјРѕР№ С‡Р°СЃС‚СЊСЋ Р¶РёР·РЅРё Р•РІСЂРѕРїС‹. РњС‹ СЂР°РґС‹, С‡С‚Рѕ Р°СЂС‚РёСЃС‚С‹ РёР· РЅР°С€РёС… СЃС‚СЂР°РЅ РґРѕР±РёРІР°Р»РёСЃСЊ РІ РїРѕСЃР»РµРґРЅРёРµ РіРѕРґС‹ РІ РЅРµРј Р·РЅР°С‡РёС‚РµР»СЊРЅС‹С… СѓСЃРїРµС…РѕРІ. - РњС‹ РїСЂРёРµРґРµРј РІ РњРѕСЃРєРІСѓ СЃ РѕРїСЂРµРґРµР»РµРЅРЅРѕР№ С†РµР»СЊСЋ, РЅР°С†РµР»РµРЅРЅС‹Рµ РЅР° РЅР°РёР»СѓС‡С€РёР№ РІРѕР·РјРѕР¶РЅС‹Р№ СЂРµР·СѓР»СЊС‚Р°С‚. РњС‹ РґСѓРјР°РµРј, С‡С‚Рѕ РЅР° СЌС‚Рѕ Сѓ РЅР°СЃ РµСЃС‚СЊ РІСЃРµ С€Р°РЅСЃС‹. РњС‹ СѓРІРµСЂРµРЅС‹, С‡С‚Рѕ Р·СЂРёС‚РµР»СЏРј РІСЃРµР№ Р•РІСЂРѕРїС‹ РґРѕР»Р¶РЅР° РїРѕРЅСЂР°РІРёС‚СЊСЃСЏ РЅР°С€Р° РїРµСЃРЅСЏ. - РљР°РєРѕР№ С„Р°РєС‚РѕСЂ Р±СѓРґРµС‚ РєР»СЋС‡РµРІС‹Рј РІ РІР°С€РµР№ РїРѕРґРіРѕС‚РѕРІРєРµ, С‡С‚Рѕ РїРѕР·РІРѕР»РёС‚ РІР°Рј РґРѕР±РёС‚СЊСЃСЏ РїРѕСЃС‚Р°РІР»РµРЅРЅРѕР№ С†РµР»Рё? - РќР°С€Р° СЃС‚СЂР°РЅР° РЅРµ РЅР°СЃС‚РѕР»СЊ РІРµР»РёРєР°, Рё Сѓ РЅР°СЃ РЅРµС‚ РґРµРЅРµРі РЅР° РјР°СЃС€С‚Р°Р±РЅС‹Р№ РїСЂРѕРјРѕСѓС€РµРЅ, РЅРѕ РёРЅС‚РµСЂРЅРµС‚ РѕС‡РµРЅСЊ РІР°Р¶РµРЅ РІ СЌС‚РѕРј РІРѕРїСЂРѕСЃРµ. РЈ РЅР°СЃ РµСЃС‚СЊ РґРѕСЃРєРѕРЅР°Р»СЊРЅРѕ СЂР°Р·СЂР°Р±РѕС‚Р°РЅРЅР°СЏ РєРѕРЅС†РµРїС†РёСЏ, РјС‹ РѕР±РµС‰Р°РµРј РѕС‡РµРЅСЊ РёРЅС‚РµСЂРµСЃРЅРѕРµ РІС‹СЃС‚СѓРїР»РµРЅРёРµ РІ РњРѕСЃРєРІРµ Рё СЌС‚РѕРіРѕ РґРѕР»Р¶РЅРѕ Р±С‹С‚СЊ РґРѕСЃС‚Р°С‚РѕС‡РЅРѕ. Р� РїСѓСЃС‚СЊ РїРѕР±РµРґРёС‚ РґРµР№СЃС‚РІРёС‚РµР»СЊРЅРѕ Р»СѓС‡С€Р°СЏ РјСѓР·С‹РєР°! - РџСЂРµР¶РґРµ РІСЃРµРіРѕ - СЌС‚Рѕ РїРµСЃРЅСЏ, РїРѕС‚РѕРј СѓР¶Рµ РІС‹СЃС‚СѓРїР»РµРЅРёРµ, Рё РІСЃРµ РІРјРµСЃС‚Рµ СЏРІР»СЏРµС‚СЃСЏ СЃРѕСЃС‚Р°РІРЅС‹РјРё С‡Р°СЃС‚СЏРјРё С€РѕСѓ. - Р’С‹ СѓР¶Рµ РЅР°С‡Р°Р»Рё РІР°С€ РїСЂРѕРјРѕ-С‚СѓСЂ. РЎС‡РёС‚Р°РµС‚Рµ Р»Рё РІС‹, С‡С‚Рѕ РїРѕРґРѕР±РЅС‹Р№ РїСЂРѕРјРѕСѓС€РµРЅ РІР°Р¶РµРЅ РґР»СЏ СЂРµР·СѓР»СЊС‚Р°С‚Р° РЅР° РєРѕРЅРєСѓСЂСЃРµ? РљСѓРґР° РІС‹ РµС‰Рµ РїР»Р°РЅРёСЂСѓРµС‚Рµ РѕС‚РїСЂР°РІРёС‚СЊСЃСЏ? - РњС‹ РІС‹СЃС‚СѓРїР°РµРј РІ РњР°РєРµРґРѕРЅРёРё, РЎР»РѕРІРµРЅРёРё, РҐРѕСЂРІР°С‚РёРё, Р”Р°РЅРёРё, РЁРІРµС†РёРё, Р“РѕР»Р»Р°РЅРґРёРё Рё Р‘РµР»СЊРіРёРё - СЌС‚Рѕ РёР· РїРѕРґС‚РІРµСЂР¶РґРµРЅРЅРѕРіРѕ РіСЂР°С„РёРєР°. РљРѕРЅРµС‡РЅРѕ, Р»СЋР±РѕР№ РїСЂРѕРјРѕСѓС€РµРЅ РІР°Р¶РµРЅ Рё РјС‹ РіРѕС‚РѕРІС‹ РїРѕСЃРµС‚РёС‚СЊ Р»СЋР±С‹Рµ СЃС‚СЂР°РЅС‹. - РњС‹ РЅРёРєРѕРіРґР° РЅРµ РґСѓРјР°РµРј Рѕ РїРѕР»РёС‚РёРєРµ. РњС‹ РїРѕР»РЅРѕСЃС‚СЊСЋ Р°РїРѕР»РёС‚РёС‡РЅР°СЏ РіСЂСѓРїРїР°, РјС‹ РїРѕРµРј Рѕ Р»СЋР±РІРё. РњС‹ Р»СЋР±РёРј Рё С†РµРЅРёРј РІ Р¶РёР·РЅРё РїСЂРѕСЃС‚С‹Рµ РІРµС‰Рё Рё Р¶РёРІРµРј СЂР°РґРё РјСѓР·С‹РєРё. - Р’С‹ СЃР»РµРґРёС‚Рµ Р·Р° РѕС‚Р±РѕСЂР°РјРё РІ РґСЂСѓРіРёС… СЃС‚СЂР°РЅР°С…, РїР»Р°РЅРёСЂСѓРµС‚Рµ Р»Рё РІС‹ РїСЂРѕСЃР»СѓС€Р°С‚СЊ Р·Р°СЂР°РЅРµРµ РІСЃРµ СѓС‡Р°СЃС‚РІСѓСЋС‰РёРµ РїРµСЃРЅРё? - Р”Р°, Рё РјС‹ СЃС‡РёС‚Р°РµРј, С‡С‚Рѕ РІ СЌС‚РѕРј РіРѕРґСѓ РѕС‡РµРЅСЊ РјРЅРѕРіРѕ СЃРёР»СЊРЅС‹С… РїРµСЃРµРЅ Рё РёСЃРїРѕР»РЅРёС‚РµР»РµР№. Р•РІСЂРѕРІРёРґРµРЅРёРµ РІ РњРѕСЃРєРІРµ РґРѕР»Р¶РЅРѕ РѕР±СЏР·Р°С‚РµР»СЊРЅРѕ Р·Р°РїРѕРјРЅРёС‚СЊСЃСЏ. - Р”Р°РІР°Р№С‚Рµ РІРєСЂР°С‚С†Рµ РїРѕРіРѕРІРѕСЂРёРј Рѕ РІР°С€РµР№ РєР°СЂСЊРµСЂРµ. Р§С‚Рѕ РІС‹ СЃС‡РёС‚Р°РµС‚Рµ РµРµ РѕСЃРЅРѕРІРЅС‹Рј РјРѕРјРµРЅС‚РѕРј? - РњС‹ СѓР¶Рµ РІС‹РїСѓСЃС‚РёР»Рё РјРЅРѕР¶РµСЃС‚РІРѕ Р°Р»СЊР±РѕРјРѕРІ Рё РґР°Р»Рё РјР°СЃСЃСѓ РєРѕРЅС†РµСЂС‚РѕРІ. РњС‹ Р·РЅР°РєРѕРјС‹ СЃРѕ Р·СЂРёС‚РµР»СЏРјРё РІРѕ РІСЃРµРј СЂРµРіРёРѕРЅРµ. Р’РѕР·РјРѕР¶РЅРѕ, РІР°Рј С‚Р°РєР¶Рµ Р±СѓРґРµС‚ РёРЅС‚РµСЂРµСЃРЅРѕ, С‡С‚Рѕ РјС‹ РІС‹СЃС‚СѓРїР°Р»Рё РЅР° СЂР°Р·РѕРіСЂРµРІРµ Сѓ Р РѕР»Р»РёРЅРі РЎС‚РѕСѓРЅР· РІРѕ РІСЂРµРјСЏ РёС… РєРѕРЅС†РµСЂС‚Р° РІ Р§РµСЂРЅРѕРіРѕСЂРёРё. Р­С‚Рѕ Р±С‹Р»Рѕ РЅРµРїРѕРІС‚РѕСЂРёРјРѕРµ С‡СѓРІСЃС‚РІРѕ, СЂРµР°Р»РёР·Р°С†РёСЏ РЅР°С€РµР№ СЋРЅРѕС€РµСЃРєРѕР№ РјРµС‡С‚С‹. - РЈС‡Р°СЃС‚РІРѕРІР°Р»Рё Р»Рё РІС‹ РІ РєР°РєРёС…-С‚Рѕ РµС‰Рµ РјСѓР·С‹РєР°Р»СЊРЅС‹С… РєРѕРЅРєСѓСЂСЃР°С…? - РќР°С€ РЅРѕРІС‹Р№ Р°Р»СЊР±РѕРј РіРѕС‚РѕРІ, РЅРѕ РѕРЅ РІС‹Р№РґРµС‚ СѓР¶Рµ РїРѕСЃР»Рµ РєРѕРЅРєСѓСЂСЃР°, С‚РѕРіРґР° РјС‹ СЃРјРѕР¶РµРј РїСЂРµРґСЃС‚Р°РІРёС‚СЊ СЃР»СѓС€Р°С‚РµР»СЏРј РЅР°С€Рё РЅРѕРІС‹Рµ РїРµСЃРЅРё. РџРѕРєР° Р¶Рµ РјС‹ РєРѕРЅС†РµРЅС‚СЂРёСЂСѓРµРјСЃСЏ РёСЃРєР»СЋС‡РёС‚РµР»СЊРЅРѕ РЅР° Bistra voda Рё Р•РІСЂРѕРІРёРґРµРЅРёРё. - Р�, РЅР°С€ РѕР±С‹С‡РЅС‹Р№ РІРѕРїСЂРѕСЃ, РєРѕРіРѕ РёР· РёСЃРїРѕР»РЅРёС‚РµР»РµР№ СЃС‚СЂР°РЅС‹ РЎРќР“ РІС‹ РјРѕРіР»Рё Р±С‹ РЅР°Р·РІР°С‚СЊ? - РЈ РЅР°СЃ Р±С‹Р»Р° РІРѕР·РјРѕР¶РЅРѕСЃС‚СЊ РІСЃС‚СЂРµС‚РёС‚СЊСЃСЏ СЃ Р СѓСЃР»Р°РЅРѕР№ С‚СЂРё РіРѕРґР° РЅР°Р·Р°Рґ РІ Р‘СѓРґРІРµ, РіРґРµ РјС‹ РІС‹СЃС‚СѓРїР°Р»Рё. Р�, РєРѕРЅРµС‡РЅРѕ, РІ РїСЂРѕС€Р»РѕРј РіРѕРґСѓ, РјС‹ РІРёРґРµР»Рё РІСЃРµС… РєРѕРЅРєСѓСЂСЃР°РЅС‚РѕРІ Р•РІСЂРѕРІРёРґРµРЅРёСЏ РІ Р‘РµР»РіСЂР°РґРµ. 21/04 After few days ago Serbia did it, Bosnian band Regina has released Russian version of their Eurovision entry as well. The exact songtitle and names of lyricists are not yet known. You can listen to it here. English version has been released as well, available here. РЎРїСѓСЃС‚СЏ РЅРµСЃРєРѕР»СЊРєРѕ РґРЅРµР№ РїРѕСЃР»Рµ РЎРµСЂР±РёРё, Р‘РѕСЃРЅРёР№СЃРєР°СЏ РіСЂСѓРїРїР° Р РµРіРёРЅР° С‚Р°РєР¶Рµ РѕРїСѓР±Р»РёРєРѕРІР°Р»Р° СЂСѓСЃСЃРєСѓСЋ РІРµСЂСЃРёСЋ СЃРІРѕРµР№ РєРѕРЅРєСѓСЂСЃРЅРѕР№ РїРµСЃРЅРё. Р•Рµ С‚РѕС‡РЅРѕРµ РЅР°Р·РІР°РЅРёРµ, РєР°Рє Рё РёРјРµРЅР° Р°РІС‚РѕСЂРѕРІ С‚РµРєСЃС‚Р°, РїРѕРєР° РЅРµ РёР·РІРµСЃС‚РЅС‹. РџСЂРѕСЃР»СѓС€Р°С‚СЊ РµРµ РјРѕР¶РЅРѕ Р·РґРµСЃСЊ. РўР°РєР¶Рµ РІС‹РїСѓС‰РµРЅР° Р°РЅРіР»РёР№СЃРєР°СЏ РІРµСЂСЃРёСЏ, РєРѕС‚РѕСЂР°СЏ РґРѕСЃС‚СѓРїРЅР° Р·РґРµСЃСЊ. 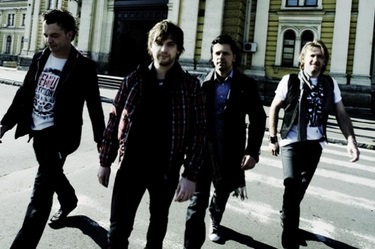 19/04 Members of the band "Regina" have started rehearsals for choreography of their entry "Bistra voda". 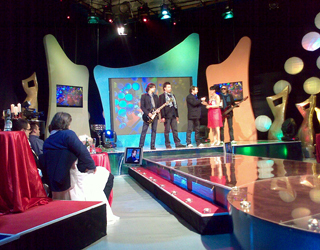 They are taking place in RTV premises in Sarajevo. In charge of chreography are Snjezana Abramovic, who is usually working on stage performances of Bosnian entries and director of Bistra voda video Boris Miljkovic, reports Dnevni Avaz. 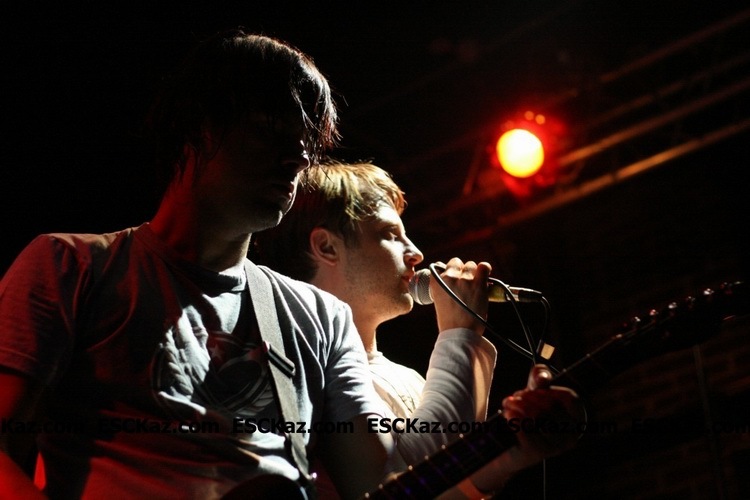 - The rehearsals are going very successful, we're totally satisfied. During the short period of time 90% of routine has been learned. On this weekend Regina will take part in two last parts of their promotional tour in Netherlands and Belgium, - says Maja Cengic, spokesman for the BH Eurosong. With members of "Regina" Aleksander Covic, Davor Ebner, Bojan Milicevic and Denis Cabric, on stage in Moscow will appear backing vocalists Elma Selimovic and Danijela Vecerinovic. Snjezana Abramovic says that it is easy to create a choreography for a good song, and stresses that "Bistra water" it is. - The inspiration for the choreography origins from the video for the song "Bistra voda" - added Abramovic. РЈС‡Р°СЃС‚РЅРёРєРё РіСЂСѓРїРїС‹ "Р РµРіРёРЅР°" РЅР°С‡Р°Р»Рё СЂРµРїРµС‚РёС†РёРё С…РѕСЂРµРѕРіСЂР°С„РёРё РёС… РїРµСЃРЅРё "Bistra voda". Р РµРїРµС‚РёС†РёРё РїСЂРѕС…РѕРґСЏС‚ РІ Р·РґР°РЅРёРё RTV РІ РЎР°СЂР°РµРІРѕ. Р—Р° С…РѕСЂРµРѕРіСЂР°С„РёСЋ РІС‹СЃС‚СѓРїР»РµРЅРёСЏ РѕС‚РІРµС‡Р°РµС‚ РЎРЅРµР¶Р°РЅР° РђР±СЂР°РјРѕРІРёС‡, РєРѕС‚РѕСЂР°СЏ РїРѕСЃС‚РѕСЏРЅРЅРѕ СЂР°Р±РѕС‚Р°РµС‚ СЃ РїСЂРµРґСЃС‚Р°РІРёС‚РµР»СЏРјРё Р‘РѕСЃРЅРёРё РЅР° РєРѕРЅРєСѓСЂСЃРµ, Рё СЂРµР¶РёСЃСЃРµСЂ РІРёРґРµРѕ-РєР»РёРїР° РЅР° "Bistra voda" Р‘РѕСЂРёСЃ РњРёР»СЊРєРѕРІРёС‡. - Р РµРїРµС‚РёС†РёРё РїСЂРѕС…РѕРґСЏС‚ С…РѕСЂРѕС€Рѕ, РјС‹ РІСЃРµ РёРјРё РѕС‡РµРЅСЊ РґРѕРІРѕР»СЊРЅС‹. Р—Р° РєРѕСЂРѕС‚РєРёР№ РїРµСЂРёРѕРґ СѓРґР°Р»РѕСЃСЊ РѕС‚СЂР°Р±РѕС‚Р°С‚СЊ СѓР¶Рµ 90% РЅРѕРјРµСЂР°. Р’ СЌС‚Рё РІС‹С…РѕРґРЅС‹Рµ РіСЂСѓРїРїР° "Р РµРіРёРЅР°" РѕС‚РїСЂР°РІРёС‚СЃСЏ РІ РїРѕСЃР»РµРґРЅРёР№ СЌС‚Р°Рї СЃРІРѕРµРіРѕ РїСЂРѕРјРѕ-С‚СѓСЂР° Рё РІС‹СЃС‚СѓРїРёС‚ РІ Р“РѕР»Р»Р°РЅРґРёРё Рё Р‘РµР»СЊРіРёРё, РіРѕРІРѕСЂРёС‚ РњР°Р№СЏ Р§РµРЅРіРёС‡, РїСЂРµРґСЃС‚Р°РІРёС‚РµР»СЊ BH Eurosong. РЎ С‡Р»РµРЅР°РјРё "Р РµРіРёРЅС‹" РђР»РµРєСЃР°РЅРґСЂРѕРј Р§РѕРІРёС‡РµРј, Р”Р°РІРѕСЂРѕРј Р­Р±РЅРµСЂРѕРј, Р‘РѕР№СЏРЅРѕРј РњРёР»РёС‡РµРІРёС‡РµРј Рё Р”РµРЅРёСЃРѕРј Р§Р°Р±СЂРёС‡РµРј РЅР° СЃС†РµРЅРµ РІС‹СЃС‚СѓРїСЏС‚ РґРІРµ Р±СЌРє-РІРѕРєР°Р»РёСЃС‚РєРё Р­Р»СЊРјР° РЎРµР»РёРјРѕРІРёС‡ Рё Р”Р°РЅРёРµР»Р° Р’РµС‡РµСЂРёРЅРѕРІРёС‡. РЎРЅРµР¶Р°РЅР° РђР±СЂР°РјРѕРІРёС‡ РіРѕРІРѕСЂРёС‚, С‡С‚Рѕ РЅР° С…РѕСЂРѕС€СѓСЋ РїРµСЃРЅСЋ РІСЃРµРіРґР° Р»РµРіС‡Рµ СЃРѕР·РґР°РІР°С‚СЊ РЅРѕРјРµСЂ Рё РїРѕРґС‡РµСЂРєРёРІР°РµС‚, С‡С‚Рѕ "Bistra voda" С‚Р°РєРѕР№ РєР°Рє СЂР°Р· СЏРІР»СЏРµС‚СЃСЏ. - РҐРѕСЂРµРѕРіСЂР°С„РёСЏ Р±СѓРґРµС‚ РѕСЃРЅРѕРІР°РЅР° РЅР° РІРёРґРµРѕРєР»РёРїРµ РЅР° РїРµСЃРЅСЋ, РґРѕР±Р°РІР»СЏРµС‚ РђР±СЂР°РјРѕРІРёС‡. After a very successful tour in Macedonia, Turkey, Montenegro and Albania, Bosnian representatives this year will continue their promotion on April 4th and 5th in Zagreb and Ljubljana, where they will be special guests of several TV programs, including TV Bingo on HRT and Spet Doma in RTV Slovenia. Later in April, Regina will appear as special guests of the tour of Dino Merlin. The first of three concerts scheduled for Friday, 10 April in Goteborg, followed by Malmo on Saturday 11th April, while on Sunday, 12th of April band will join Dino in concert in Horsens, Denmark. 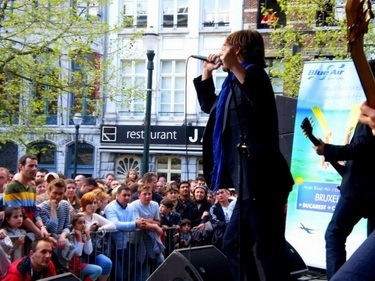 After a guest appearance on tour of Dino Merlin, Regina goes in Belgium and the Netherlands, where on the 17th and 18 April will be held promotional Eurovision weekend. Earlier, band has visited Podgorica and Tirana. In Podgorica they have appeared in all major TV channels. 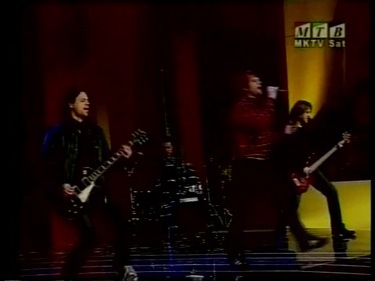 Radio-Television Montenegro, TV Pink, TV Budva, Budva list, Dani - are just some of their mass media reporting about band Regina. To end a very successful promotion in Montenegro, Bosnian representatives performed live in one of the most popular gathering place for young people. 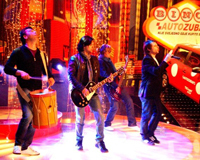 Tour has continued in Tirana, where they took part in the popular Saturday evening TV show. 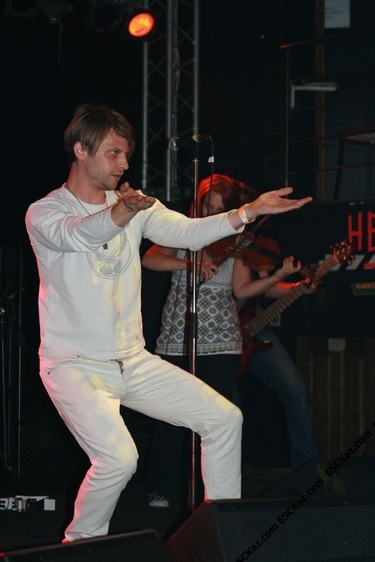 In the night band has appeared in night club Carlijev bar, performed a few of their tracks. 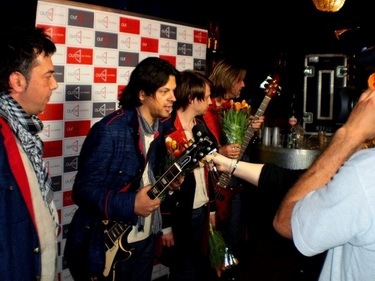 As part of their promotional tour band Regina has visited Turkey. The team was in Istanbul for three days at the invitation of Bekim Muftarevic, editor-in-chief of TRT Turkey. 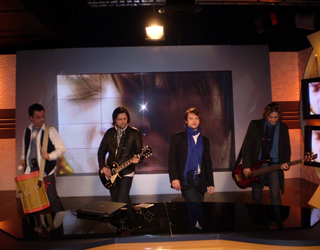 On TRT band has appeared in prime-time Saturday's show, later moving on to the the largest commercial TV station FOX. TRT team has created documentary about band's stay in the country, which will be shown during "Ususret Eurosong" diaries in May. Many fans have arrived from various parts of Turkey to make photos and talk to Bosnian representatives on this year's Eurosong. 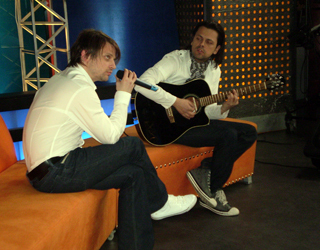 Watch the performance on Hayat here and accoustic version performed on Moderator show here. Tour of Regina has continued in Zagreb and Ljubljana. 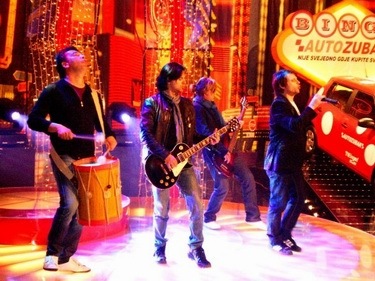 Croatian viewers had had the opportunity to see the band in TV Bingo show of HRT. 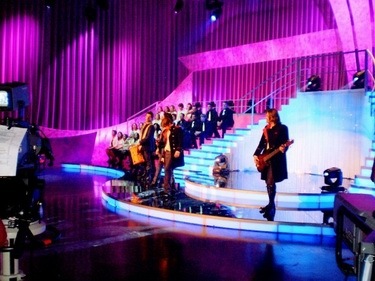 After numerous interviews to representatives of the Croatian media band moved to Slovenia where they took part in the prime-time show "Spet Doma". With this band has finished it's promotional tour of the region. РџРѕСЃР»Рµ СѓСЃРїРµС€РЅРѕРіРѕ С‚СѓСЂР° РІ РњР°РєРµРґРѕРЅРёРё, РўСѓСЂС†РёРё, Р§РµСЂРЅРѕРіРѕСЂРёРё Рё РђР»Р±Р°РЅРёРё, РїСЂРµРґСЃС‚Р°РІРёС‚РµР»РёРј Р‘РѕСЃРЅРёРё РїСЂРѕРґРѕР»Р¶Р°С‚ СЃРІРѕРё РІС‹СЃС‚СѓРїР»РµРЅРёСЏ 4РіРѕ Рё 5РіРѕ Р°РїСЂРµР»СЏ РІ Р—Р°РіСЂРµР±Рµ Рё Р›СЋР±Р»СЏРЅРµ, РіРґРµ РѕРЅРё СЃС‚Р°РЅСѓС‚ РіРѕСЃС‚СЏРјРё РЅРµСЃРєРѕР»СЊРєРёС… С‚РµР»РµС€РѕСѓ, РІ С‡Р°СЃС‚РЅРѕСЃС‚Рё TV Bingo РЅР° HRT Рё Spet Doma РЅР° RTV Slo. РџРѕР·РґРЅРµРµ РІ Р°РїСЂРµР»Рµ, Р РµРіРёРЅР° РІС‹СЃС‚СѓРїСЏС‚ РІ РєР°С‡РµСЃС‚РІРµ СЃРїРµС†РёР°Р»СЊРЅС‹С… РіРѕСЃС‚РµР№ РЅР° РєРѕРЅС†РµСЂС‚Р°С… Р”РёРЅРѕ РњРµСЂР»РёРЅР° РІ РЎРєР°РЅРґРёРЅР°РІРёРё. РџРµСЂРІС‹Р№ РёР· РЅРёС… СЃРѕСЃС‚РѕРёС‚СЃСЏ 10РіРѕ Р°РїСЂРµР»СЏ РІ Р“РµС‚РµР±РѕСЂРіРµ, Р·Р° РЅРёРј РїРѕСЃР»РµРґСѓРµС‚ РІС‹СЃС‚СѓРїР»РµРЅРёРµ РІ РњР°Р»СЊРјРµ 11РіРѕ Р°РїСЂРµР»СЏ, РІ РІРѕСЃРєСЂРµСЃРµРЅСЊРµ РіСЂСѓРїРїР° РїСЂРёСЃРѕРµРґРёРЅРёС‚СЃСЏ Рє Р”РёРЅРѕ РЅР° РєРѕРЅС†РµСЂС‚Рµ РІ РҐРѕСЂСЃРµРЅСЃРµ, Р”Р°РЅРёСЏ. РџРѕСЃР»Рµ СЌС‚РѕРіРѕ, РіСЂСѓРїРїР° РѕС‚РїСЂР°РІРёС‚СЃСЏ РІ Р‘РµР»СЊРіРёСЋ Рё Р“РѕР»Р»Р°РЅРґРёСЋ РґР»СЏ СѓС‡Р°СЃС‚РёСЏ РІ РїСЂРѕРјРѕ-СѓРёРєРµРЅРґРµ Р•РІСЂРѕРІРёРґРµРЅРёСЏ, РєРѕС‚РѕСЂС‹Р№ РїСЂРѕР№РґРµС‚ 17РіРѕ Рё 18РіРѕ Р°РїСЂРµР»СЏ. Р Р°РЅРµРµ, РіСЂСѓРїРїР° РїРѕСЃРµС‚РёР»Р° РџРѕРґРіРѕСЂРёС†Сѓ Рё РўРёСЂР°РЅСѓ. Р’ РџРѕРґРіРѕСЂРёС†Рµ СѓС‡Р°СЃС‚РЅРёРєРё Р РµРіРёРЅС‹ РїРѕСЏРІРёР»РёСЃСЊ РЅР° РІСЃРµС… РѕСЃРЅРѕРІРЅС‹С… С‚РµР»РµРєР°РЅР°Р»Р°С…, РќР°С†РёРѕРЅР°Р»СЊРЅРѕРµ РўР’ Р§РµСЂРЅРѕРіРѕСЂРёРё, TV Pink, TV Budva, Budva list, Dani - РІРѕС‚ Р»РёС€СЊ РЅРµРјРЅРѕРіРёРµ РёР· РЎРњР�, СѓРґРµР»РёРІС€РёС… РІРЅРёРјР°РЅРёРµ РїСЂРёРµР·РґСѓ РїСЂРµРґСЃС‚Р°РІРёС‚РµР»РµР№ Р‘РѕСЃРЅРёРё. Р’ РѕРєРѕРЅС‡Р°РЅРёРµ СѓСЃРїРµС€РЅРѕРіРѕ РїСЂРµР±С‹РІР°РЅРёСЏ РІ Р§РµСЂРЅРѕРіРѕСЂРёРё, РіСЂСѓРїРїР° РІС‹СЃС‚СѓРїРёР»Р° РЅР° РѕС‚РєСЂС‹С‚РѕР№ РїР»РѕС‰Р°РґРєРµ, РїРѕРїСѓР»СЏСЂРЅРѕРј РјРµСЃС‚Рµ СЃРІРёРґР°РЅРёСЏ РјРѕР»РѕРґРµР¶Рё. РўСѓСЂ РїСЂРѕРґРѕР»Р¶РёР»СЃСЏ РІ РўРёСЂР°РЅРµ, РіРґРµ РіСЂСѓРїРїР° СЃС‚Р°Р»Р° РіРѕСЃС‚СЏРјРё СЃСѓР±Р±РѕС‚РЅРµРіРѕ РІРµС‡РµСЂРЅРµРіРѕ С€РѕСѓ. Рђ РІРµС‡РµСЂРѕРј РѕРЅР° РІС‹СЃС‚СѓРїРёР»Р° РІ Carlijev bar, РёСЃРїРѕР»РЅРёРІ РЅРµСЃРєРѕР»СЊРєРѕ СЃРІРѕРёС… Р»СѓС‡С€РёС… С…РёС‚РѕРІ. Р’ СЂР°РјРєР°С… РїСЂРѕРјРѕ-С‚СѓСЂР° РіСЂСѓРїРїР° Р РµРіРёРЅР° РїРѕСЃРµС‚РёР»Р° РўСѓСЂС†РёСЋ. Р“СЂСѓРїРїР° РїРѕР±С‹РІР°Р»Р° РІ СЌС‚РѕР№ СЃС‚СЂР°РЅРµ РїРѕ РїСЂРёРіР»Р°С€РµРЅРёСЋ Р‘РµРєРёРјР° РњСѓС„С‚Р°СЂРµРІРёС‡Р°, СЂРµРґР°РєС‚РѕСЂР° С‚РµР»РµРєР°РЅР°Р»Р° TRT. РќР° TRT РіСЂСѓРїРїР° РІС‹СЃС‚СѓРїРёР»Р° РІ СЃСѓР±Р±РѕС‚РЅРµРј С€РѕСѓ, Р·Р°С‚РµРј РїРѕСЏРІРёРІРёС€РёСЃСЊ Рё РЅР° РєРѕРјРјРµСЂС‡РµСЃРєРѕРј С‚РµР»РµРєР°РЅР°Р»Рµ FOX. РЎСЉРµРјРѕС‡РЅР°СЏ РіСЂСѓРїРїР° TRT СЃРЅСЏР»Р° РґРѕРєСѓРјРµРЅС‚Р°Р»СЊРЅС‹Р№ С„РёР»СЊРј Рѕ РїСЂРµР±С‹РІР°РЅРёРё Р РµРіРёРЅС‹ РІ РўСѓСЂС†РёРё, РєРѕС‚РѕСЂС‹Р№ Р±СѓРґРµС‚ РїРѕРєР°Р·Р°РЅ РІ Р‘РѕСЃРЅРёРё РІ РјР°Рµ РІ СЂР°РјРєР°С… РґРЅРµРІРЅРёРєРѕРІ Р•РІСЂРѕРІРёРґРµРЅРёСЏ "Ususret Eurosong". РњРЅРѕРіРёРµ РїРѕРєР»РѕРЅРЅРёРєРё РіСЂСѓРїРїС‹ РїСЂРёР±С‹Р»Рё РёР· СЂР°Р·РЅС‹С… СѓРіРѕР»РєРѕРІ РўСѓСЂС†РёРё, С‡С‚РѕР±С‹ СЃС„РѕС‚РѕРіСЂР°С„РёСЂРѕРІР°С‚СЊСЃСЏ Рё РїРѕРѕР±С‰Р°С‚СЊСЃСЏ СЃ РїСЂРµРґСЃС‚Р°РІРёС‚РµР»СЏРјРё Р‘РѕСЃРЅРёРё РЅР° Р•РІСЂРѕРІРёРґРµРЅРёРё 2009. РџРѕСЃРјРѕС‚СЂРµС‚СЊ РІС‹СЃС‚СѓРїР»РµРЅРёРµ РЅР° РєР°РЅР°Р»Рµ Hayat РјРѕР¶РЅРѕ Р·РґРµСЃСЊ, Р° РёСЃРїРѕР»РЅРµРЅРёРµ Р°РєРєСѓСЃС‚РёС‡РµСЃРєРѕР№ РІРµСЂСЃРёРё РІ РїСЂРѕРіСЂР°РјРјРµ Moderator - Р·РґРµСЃСЊ. РўСѓСЂ Р РµРіРёРЅС‹ РїСЂРѕРґРѕР»Р¶РёР»СЃСЏ РІ Р—Р°РіСЂРµР±Рµ Рё Р›СЋР±Р»СЏРЅРµ. РҐРѕСЂРІР°С‚СЃРєРёРµ Р·СЂРёС‚РµР»Рё СЃРјРѕРіР»Рё СѓРІРёРґРµС‚СЊ РІС‹СЃС‚СѓРїР»РµРЅРёРµ РіСЂСѓРїРїС‹ РІ С€РѕСѓ РўР’ Р‘РёРЅРіРѕ РЅР° С‚РµР»РµРєР°РЅР°Р»Рµ HRT. РџРѕСЃР»Рµ РјРЅРѕРіРѕС‡РёСЃР»РµРЅРЅС‹С… РёРЅС‚РµСЂРІСЊСЋ С…РѕСЂРІР°С‚СЃРєРѕР№ РїСЂРµСЃСЃРµ РіСЂСѓРїРїР° РїРµСЂРµР±СЂР°Р»Р°СЃСЊ РІ РЎР»РѕРІРµРЅРёСЋ, РіРґРµ РІС‹СЃС‚СѓРїРёР»Р° РІ СЂРµР№С‚РёРЅРіРѕРІРѕРј С€РѕСѓ "Spet Doma". Р­С‚РёРј Р РµРіРёРЅР° Р·Р°РєРѕРЅС‡РёР»Р° РїСЂРѕРјРѕ-С‚СѓСЂ РїРѕ СЂРµРіРёРѕРЅСѓ. 11/03 "Plagiarism stories are only making good advertising for Bosnian entry", responded head of Bosnian delegation at the contest Mr Dejan Kukric to allegations from Serbian songwriters. 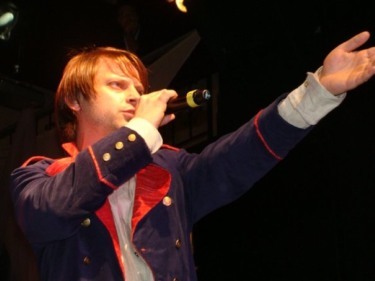 Earlier, Bosnian and Serbian press and several music experts have hinted that chorus of the song "Bistra voda" is almost identical with the chorus of the song "Oltar" composed by Mladjan Dinkic, the Minister of Economy of Serbia, performed by Kiki Lesendric. Both songs can be heard on the Youtube. Several experts stated that 12 bars out of the total number of 17 are identical. According to the Copyright Law, it is possible to use only five bars from someoneвЂ™s song without an authorвЂ™s official approval. It is interesting to point out that Regina recorded their song in the studio of Vlada Negovanovic, the guitarist of Kiki LesendricвЂ™s band. Whether there will be any further disputes concerning this issue, we will see. "I heard the song of Regina and I think that the chorus is the same as in my song "Oltar" composed by Mladjan Dinkic. I have no other comments for now,вЂќ said Kiki Lesendric. The Minister Dinkic in an interview to journalists said that he does not wish to solve the problem in the courts. "I invited my lawyers to find a compromise solution and we suggest representatives of Bosnia and Herzegovina to add my name as a "co-author" of the song "Bistra voda", and that in this form to enter it to "Eurovision", - said the Serbian minister. 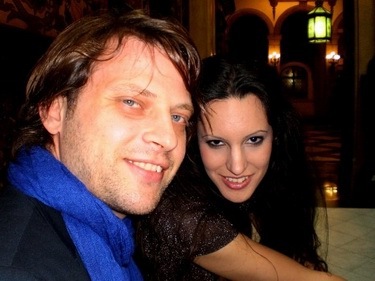 His request, however, was not accepeted author of music and lyrics of "Bistra voda", Regina's Aleksandar Covic. "After the Beovizija Festival, I heard some comments that my song is similar to Kiki LesendricвЂ™s song. I can only say that Bistra voda is an authentic song. It is good to hear that two nice songs sound similar", he said, denying plagiarism allegations. "Bistra voda" is not plagiarism, it's only author is Aleksandar Covic and no one else will be added in the list of songwriters, firmly rejected Mr. Kukric. "In the music world, there are many similar song, songs of the same style, but not all of them can be considered as plagiarism. There is copyright law, and until song has not been declared plagiarism by court decision it can not be considered as such. And Bosnian entry is not fitting plagiarism definition not by even one criteria". He added that it is interesting that stories about Bosnian entry caused bigger interest in Serbian press rather that the own entry "Cipela". "I'm sure that thanks to this support we will get 12 points from Serbia". 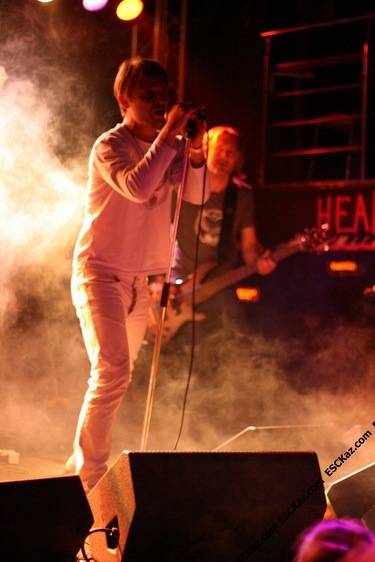 "I am glad that the band Regina likes my song so much that they, maybe unconsciously, have taken over my idea. 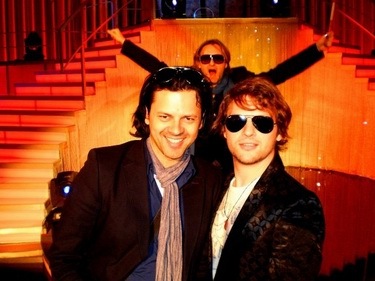 I wish them luck at the Eurovision Song Contest. The most important thing for them is to prepare well and achieve great success. I will regard their success as my own and although I think it would be fair to sign me as an author, I will not insist. I believe there is a way to settle this issue and I donвЂ™t want to start legal procedures", responded Dinkic. Every year, fans and press raise many questions about alleged plagiarism of this or that concert entry. According to the Eurovision rules - contest entries are evaluated only during the meating of the heads of delegations, which will take place in Moscow this year. However, questions of plagiarism will be discussed only in the case when there is a lawsuit from the author of the original composition. In this case, organizers may recomend to amend the parts of the songs in question. However, in cases when there is no such a lawsuits, plagiarism allegations are not even considered by EBU Reference group. "РћР±РІРёРЅРµРЅРёСЏ РІ РїР»Р°РіРёР°С‚Рµ С‚РѕР»СЊРєРѕ СЃРѕР·РґР°СЋС‚ РґРѕРїРѕР»РЅРёС‚РµР»СЊРЅСѓСЋ СЂРµРєР»Р°РјСѓ РґР»СЏ РЅР°С€РµР№ РїРµСЃРЅРё", РѕС‚РІРµС‚РёР» РіР»Р°РІР° РґРµР»РµРіР°С†РёРё Р‘РѕСЃРЅРёРё Рё Р“РµСЂС†РµРіРѕРІРёРЅС‹ РЅР° Р•РІСЂРѕРІРёРґРµРЅРёРё Р”РµСЏРЅ РљСѓРєСЂРёС‡ РЅР° Р·Р°СЏРІР»РµРЅРёСЏ СЃРµСЂР±СЃРєРёС… Р°РІС‚РѕСЂРѕРІ. Р Р°РЅРµРµ, Р±РѕСЃРЅРёР№СЃРєР°СЏ Рё СЃРµСЂР±СЃРєР°СЏ РїСЂРµСЃСЃР° Рё РЅРµРєРѕС‚РѕСЂС‹Рµ РјСѓР·С‹РєР°Р»СЊРЅС‹Рµ СЌРєСЃРїРµСЂС‚С‹ РѕС‚РјРµС‚РёР»Рё, С‡С‚Рѕ РїСЂРёРїРµРІ РїРµСЃРЅРё "Р§РёСЃС‚Р°СЏ РІРѕРґР°" РїСЂР°РєС‚РёС‡РµСЃРєРё РёРґРµРЅС‚РёС‡РµРЅ РёР·РІРµСЃС‚РЅРѕР№ РІ РЎРµСЂР±РёРё РїРµСЃРЅРµ "РђР»С‚Р°СЂСЊ" СЃРµСЂР±СЃРєРѕРіРѕ РїРµРІС†Р° РљРёРєРё Р›РµСЃРµРЅРґСЂРёС‡Р°, РјСѓР·С‹РєСѓ Рє РєРѕС‚РѕСЂРѕР№ РЅР°РїРёСЃР°Р» РґРµР№СЃС‚РІСѓСЋС‰РёР№ РјРёРЅРёСЃС‚СЂ СЌРєРѕРЅРѕРјРёРєРё РЎРµСЂР±РёРё РњР»Р°РґР¶Р°РЅ Р”РёРЅРєРёС‡. РћР±Рµ РїРµСЃРЅРё РјРѕР¶РЅРѕ РїСЂРѕСЃР»СѓС€Р°С‚СЊ РЅР° СЃР°Р№С‚Рµ Youtube. РќРµРєРѕС‚РѕСЂС‹Рµ СЌРєСЃРїРµСЂС‚С‹ СЃС‡РёС‚Р°СЋС‚, С‡С‚Рѕ РёР· 17 РЅРѕС‚ РІ РїСЂРёРїРµРІР°С… СЌС‚РёС… РїРµСЃРµРЅ РёРґРµРЅС‚РёС‡РЅС‹ 12. РЎРѕРіР»Р°СЃРЅРѕ Р·Р°РєРѕРЅСѓ РѕР± Р°РІС‚РѕСЂСЃРєРѕРј РїСЂР°РІРµ, СЂР°Р·СЂРµС€Р°РµС‚СЃСЏ РёСЃРїРѕР»СЊР·РѕРІР°С‚СЊ С‚РѕР»СЊРєРѕ 5 РЅРѕС‚ РёР· С‡СЊРµР№-Р»РёР±Рѕ РїРµСЃРЅРё Р±РµР· РѕС„РёС†РёР°Р»СЊРЅРѕРіРѕ СЃРѕРіР»Р°СЃРёСЏ РµРµ Р°РІС‚РѕСЂР°. Р�РЅС‚РµСЂРµСЃРЅРѕ РѕС‚РјРµС‚РёС‚СЊ Рё С‚РѕС‚ С„Р°РєС‚, С‡С‚Рѕ РіСЂСѓРїРїР° Р РµРіРёРЅР° Р·Р°РїРёСЃС‹РІР°Р»Р° СЃРІРѕСЋ РїРµСЃРЅСЋ РІ СЃС‚СѓРґРёРё Р’Р»Р°РґР° РќРµРіРѕРІР°РЅРѕРІРёС‡Р°, РіРёС‚Р°СЂРёСЃС‚Р° РіСЂСѓРїРїС‹ РљРёРєРё Р›РµСЃРµРЅРґСЂРёС‡Р°. "РЇ СЃР»С‹С€Р°Р» РїРµСЃРЅСЋ РіСЂСѓРїРїС‹ Р РµРіРёРЅР° Рё РґСѓРјР°СЋ, С‡С‚Рѕ РїСЂРёРїРµРІ СЏРІРЅРѕ С‚Р°РєРѕР№ Р¶Рµ, РєР°Рє РІ РјРѕРµР№ РїРµСЃРЅРµ "РђР»С‚Р°СЂСЊ", РЅР°РїРёСЃР°РЅРЅРѕР№ РњР»Р°РґР¶Р°РЅРѕРј Р”РёРЅРєРёС‡РµРј. Р‘РѕР»СЊС€Рµ РєРѕРјРјРµРЅС‚Р°СЂРёРµРІ РїРѕ СЌС‚РѕРјСѓ РїРѕРІРѕРґСѓ Сѓ РјРµРЅСЏ РЅРµС‚", Р·Р°СЏРІРёР» РїРµРІРµС† РљРёРєРё Р›РµСЃРµРЅРґСЂРёС‡. РЎР°Рј РјРёРЅРёСЃС‚СЂ Р”РёРЅРєРёС‡ РІ РёРЅС‚РµСЂРІСЊСЋ Р¶СѓСЂРЅР°Р»РёСЃС‚Р°Рј СЃРєР°Р·Р°Р», С‡С‚Рѕ РЅРµ С…РѕС‚РµР» Р±С‹ СЂРµС€Р°С‚СЊ РїСЂРѕР±Р»РµРјСѓ РІ СЃСѓРґРµР±РЅРѕРј РїРѕСЂСЏРґРєРµ. "РЇ РїСЂРµРґР»РѕР¶РёР» СЃРІРѕРёРј Р°РґРІРѕРєР°С‚Р°Рј РЅР°Р№С‚Рё РєРѕРјРїСЂРѕРјРёСЃСЃРЅРѕРµ СЂРµС€РµРЅРёРµ Рё РїСЂРµРґР»РѕР¶РёС‚СЊ РїСЂРµРґСЃС‚Р°РІРёС‚РµР»СЏРј Р‘РѕСЃРЅРёРё Рё Р“РµСЂС†РµРіРѕРІРёРЅС‹ РІРїРёСЃР°С‚СЊ РјРѕРµ РёРјСЏ РІ РєР°С‡РµСЃС‚РІРµ СЃРѕР°РІС‚РѕСЂР° РїРµСЃРЅРё "Р‘С‹СЃС‚СЂР°СЏ РІРѕРґР°", Рё С‡С‚РѕР±С‹ РІ С‚Р°РєРѕРј РІРёРґРµ РѕРЅР° РїРѕСЏРІРёР»Р°СЃСЊ РЅР° "Р•РІСЂРѕРІРёРґРµРЅРёРё", - СЃРєР°Р·Р°Р» СЃРµСЂР±СЃРєРёР№ РјРёРЅРёСЃС‚СЂ. Р•РіРѕ РїСЂРѕСЃСЊР±Р°, РѕРґРЅР°РєРѕ, Р±С‹Р»Р° РѕС‚РІРµСЂРіРЅСѓС‚Р° Р°РІС‚РѕСЂРѕРј РјСѓР·С‹РєРё Рё С‚РµРєСЃС‚Р° "Р§РёСЃС‚РѕР№ РІРѕРґС‹", Р»РёРґРµСЂРѕРј РіСЂСѓРїРїС‹ Р РµРіРёРЅР° РђР»РµРєСЃР°РЅРґР°СЂРѕРј Р¦РѕРІРёС‡РµРј. "РџРѕСЃР»Рµ РЅР°С€РµРіРѕ СѓС‡Р°СЃС‚РёСЏ РІ С„РµСЃС‚РёРІР°Р»Рµ Р‘РµРѕРІРёР·РёСЏ, СЏ СЃР»С‹С€Р°Р» РєР°РєРёРµ-С‚Рѕ РѕР±РІРёРЅРµРЅРёСЏ РІ РЅР°С€ Р°РґСЂРµСЃ Рѕ РїРѕС…РѕР¶РµСЃС‚Рё РЅР°С€РµР№ РїРµСЃРЅРё РЅР° РїРµСЃРЅСЋ Р›РµСЃРµРЅРґСЂРёС‡Р°. РЇ РјРѕРіСѓ СЃРєР°Р·Р°С‚СЊ, С‡С‚Рѕ "Р§РёСЃС‚Р°СЏ РІРѕРґР°" - СЌС‚Рѕ РїРѕР»РЅРѕСЃС‚СЊСЋ Р°РІС‚РѕСЂСЃРєР°СЏ РєРѕРјРїРѕР·РёС†РёСЏ. РќРѕ СЏ СЂР°Рґ С‚РѕРјСѓ, С‡С‚Рѕ СЌС‚Рё РїРµСЃРЅРё Р·РІСѓС‡Р°С‚ РїРѕС…РѕР¶Рµ", РѕС‚РІРµС‚РёР» РѕРЅ, РѕС‚СЂРёС†Р°СЏ РѕР±РІРёРЅРµРЅРёСЏ РІ РїР»Р°РіРёР°С‚Рµ. "Р§РёСЃС‚Р°СЏ РІРѕРґР°" РЅРµ СЏРІР»СЏРµС‚СЃСЏ РїР»Р°РіРёР°С‚РѕРј, РµРµ РµРґРёРЅСЃС‚РІРµРЅРЅС‹Р№ Р°РІС‚РѕСЂ - РђР»РµРєСЃР°РЅРґР°СЂ Р¦РѕРІРёС‡ Рё РЅРёРєС‚Рѕ РґСЂСѓРіРѕР№ РІ СЃРїРёСЃРѕРє Р°РІС‚РѕСЂРѕРІ СЌС‚РѕР№ РїРµСЃРЅРё РІРєР»СЋС‡Р°С‚СЊСЃСЏ РЅРµ Р±СѓРґРµС‚", С‚РІРµСЂРґРѕ Р·Р°СЏРІРёР» Р”РµСЏРЅ РљСѓРєСЂРёС‡. "Р’ РјРёСЂРµ РјСѓР·С‹РєРё РµСЃС‚СЊ РјРЅРѕР¶РµСЃС‚РІРѕ РїРѕС…РѕР¶РёС… РїРµСЃРµРЅ, РїРµСЃРµРЅ РїРѕС…РѕР¶РёС… СЃС‚РёР»РµР№, РЅРѕ РЅРµ РІСЃРµ РёР· РЅРёС… РјРѕР¶РЅРѕ СЃС‡РёС‚Р°С‚СЊ РїР»Р°РіРёР°С‚РѕРј. Р•СЃС‚СЊ Р·Р°РєРѕРЅС‹ РѕР± Р°РІС‚РѕСЂСЃРєРѕРј РїСЂР°РІРµ Рё РїРѕРєР° РїРµСЃРЅСЏ РЅРµ РїСЂРёР·РЅР°РЅР° РїР»Р°РіРёР°С‚РѕРј РїРѕ СЃСѓРґСѓ, РѕРЅР° С‚Р°РєРѕРІС‹Рј СЃС‡РёС‚Р°С‚СЊСЃСЏ РЅРµ РјРѕР¶РµС‚. Р� Р‘РѕСЃРЅРёР№СЃРєР°СЏ РїРµСЃРЅСЏ РЅРµ РїРѕРґРїР°РґР°РµС‚ РїРѕРґ РѕРїСЂРµРґРµР»РµРЅРёРµ РїР»Р°РіРёР°С‚Р° РЅРё РїРѕ РѕРґРЅРѕРјСѓ РєСЂРёС‚РµСЂРёСЋ". РћРЅ С‚Р°РєР¶Рµ РґРѕР±Р°РІРёР», С‡С‚Рѕ РІРµСЃСЊРјР° РёРЅС‚РµСЂРµСЃРµРЅ С‚РѕС‚ С„Р°РєС‚, С‡С‚Рѕ РІРѕРїСЂРѕСЃ Рѕ Р±РѕСЃРЅРёР№СЃРєРѕР№ РїРµСЃРЅРµ Р·Р°С‚РјРёР» РІ СЃРµСЂР±СЃРєРѕР№ РїСЂРµСЃСЃРµ РѕР±СЃСѓР¶РґРµРЅРёСЏ РёС… СЃРѕР±СЃС‚РІРµРЅРЅРѕР№ РїРµСЃРЅРё "Cipela". "РЇ СѓРІРµСЂРµРЅ, С‡С‚Рѕ Р±Р»Р°РіРѕРґР°СЂСЏ СЌС‚РѕРјСѓ РјС‹ РїРѕР»СѓС‡РёРј 12 Р±Р°Р»Р»РѕРІ РѕС‚ РЎРµСЂР±РёРё". "РЇ СЂР°Рґ, С‡С‚Рѕ РіСЂСѓРїРїРµ Р РµРіРёРЅР° РїРѕРЅСЂР°РІРёР»Р°СЃСЊ РјРѕСЏ РїРµСЃРЅСЏ Рё РѕРЅРё, РІРѕР·РјРѕР¶РЅРѕ РЅРµ СЃРїРµС†РёР°Р»СЊРЅРѕ, Р° РЅР° РїРѕРґСЃРѕР·РЅР°С‚РµР»СЊРЅРѕРј СѓСЂРѕРІРЅРµ РёСЃРїРѕР»СЊР·РѕРІР°Р»Рё РјРѕСЋ РёРґРµСЋ. РЇ Р¶РµР»Р°СЋ РёРј СѓРґР°С‡Рё РЅР° РєРѕРЅРєСѓСЂСЃРµ. РЎР°РјРѕРµ РІР°Р¶РЅРѕРµ - СЌС‚Рѕ С‡С‚РѕР±С‹ РѕРЅРё С…РѕСЂРѕС€Рѕ РїРѕРґРіРѕС‚РѕРІРёР»РёСЃСЊ Рё РґРѕСЃС‚РёРіР»Рё СѓСЃРїРµС…Р°. РЇ Р±СѓРґСѓ СЃС‡РёС‚Р°С‚СЊ РёС… СѓСЃРїРµС… СЃРІРѕРёРј, Рё С…РѕС‚СЏ СЏ РґСѓРјР°СЋ, С‡С‚Рѕ Р±С‹Р»Рѕ Р±С‹ СЃРїСЂР°РІРµРґР»РёРІРѕ РґРѕР±Р°РІРёС‚СЊ РјРµРЅСЏ РІ РєР°С‡РµСЃС‚РІРµ СЃРѕР°РІС‚РѕСЂР°, СЏ РЅРµ Р±СѓРґСѓ РЅР°СЃС‚Р°РёРІР°С‚СЊ РЅР° СЌС‚РѕРј. РЇ РІРµСЂСЋ РІ С‚Рѕ, С‡С‚Рѕ РµСЃС‚СЊ Рё РґСЂСѓРіРёРµ РїСѓС‚Рё СѓСЂРµРіСѓР»РёСЂРѕРІР°РЅРёСЏ РґР°РЅРЅРѕРіРѕ РІРѕРїСЂРѕСЃР° Рё СЏ РЅРµ СЃРѕР±РёСЂР°СЋСЃСЊ РѕР±СЂР°С‰Р°С‚СЊСЃСЏ РІ СЃСѓРґ", РѕС‚РІРµС‚РёР» Р”РёРЅРєРёС‡. РљР°Р¶РґС‹Р№ РіРѕРґ, С„Р°РЅР°С‚С‹ Рё РїСЂРµСЃСЃР°, РїРѕРґРЅРёРјР°СЋС‚ РјР°СЃСЃСѓ РІРѕРїСЂРѕСЃРѕРІ Рѕ РїРѕРґРѕР·СЂРµРЅРёСЏС… РІ РїР»Р°РіРёР°С‚Рµ С‚РµС… РёР»Рё РёРЅС‹С… РїРµСЃРµРЅ. РЎРѕРіР»Р°СЃРЅРѕ РїСЂР°РІРёР»Р°Рј РєРѕРЅРєСѓСЂСЃР° Р•РІСЂРѕРІРёРґРµРЅРёРµ - РєРѕРЅРєСѓСЂСЃРЅС‹Рµ РїРµСЃРЅРё Р±СѓРґСѓС‚ РѕС†РµРЅРµРЅС‹ РїРѕСЃР»Рµ С‚РѕРіРѕ, РєР°Рє РѕРЅРё Р±СѓРґСѓС‚ РїСЂРµРґСЃС‚Р°РІР»РµРЅС‹ РѕС„РёС†РёР°Р»СЊРЅРѕ, С‡С‚Рѕ РїСЂРѕРёР·РѕР№РґРµС‚ РЅР° РІСЃС‚СЂРµС‡Рµ РіР»Р°РІ РґРµР»РµРіР°С†РёР№ РІ РњРѕСЃРєРІРµ 16РіРѕ РјР°СЂС‚Р°. РћРґРЅР°РєРѕ, СЂР°СЃСЃРјРѕС‚СЂРµРЅРёРµ РІРѕРїСЂРѕСЃРѕРІ РїР»Р°РіРёР°С‚Р° РѕР±С‹С‡РЅРѕ РїСЂРѕРёР·РІРѕРґРёС‚СЃСЏ С‚РѕР»СЊРєРѕ РІ С‚РѕРј СЃР»СѓС‡Р°Рµ, РµСЃР»Рё РЅР°Р»РёС‡РµСЃС‚РІСѓРµС‚ СЃСѓРґРµР±РЅС‹Р№ РёСЃРє РѕС‚ Р°РІС‚РѕСЂРѕРІ РѕСЂРёРіРёРЅР°Р»СЊРЅРѕР№ РєРѕРјРїРѕР·РёС†РёРё. Р’ С‚Р°РєРѕРј СЃР»СѓС‡Р°Рµ, РјРѕР¶РµС‚ Р±С‹С‚СЊ РїСЂРёРЅСЏС‚Рѕ СЂРµС€РµРЅРёРµ Рѕ Р·Р°РјРµРЅРµ С‡Р°СЃС‚Рё РїРµСЃРЅРё, РїРѕРїР°РІС€РµР№ РїРѕРґ РІРѕРїСЂРѕСЃ. Р’ СЃР»СѓС‡Р°Рµ РѕС‚СЃСѓС‚СЃС‚РІРёСЏ РїРѕРґРѕР±РЅРѕРіРѕ РёСЃРєР°, РґР°РЅРЅС‹Р№ РІРѕРїСЂРѕСЃ РѕР±С‹С‡РЅРѕ РѕСЂРіРєРѕРјРёС‚РµС‚РѕРј РѕСЃС‚Р°РµС‚СЃСЏ Р±РµР· РІРЅРёРјР°РЅРёСЏ. 19/02 Band Regina started yesterday in Belgrade recording of the video for "Bistra voda", directed by Boris - Bota Miljkovic, artistic director of last year's Eurovision, reports Blic. 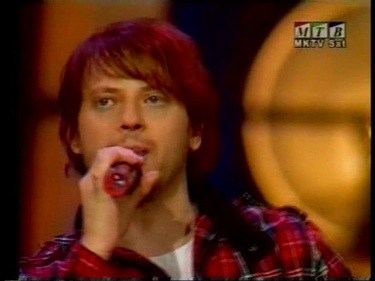 - The original idea was to record the video in Sarajevo. But in the song we sing about warm May morning, and do you see the weather?, laughs Aco Regina. - Video follows the song. Is unusual and seems to be from another time. Sounds like a small anthem, we tried to create athmosphere of someting like coming from 20s of the last century. We act as a soldiers, but soldiers of love - explains Aco, adding that animation will also be used in the video. - Of course we're there to win! It's nice to participate, but it is important to win. No one remembers, who was second and third. We've determined this attitude from the very beginning. Only with such a position we can achieve something, otherwise it is better not to go at all. We will also record English version, but for Eurovision we will sing in our language. Р“СЂСѓРїРїР° Р РµРіРёРЅР° РЅР°С‡Р°Р»Р° РІС‡РµСЂР° РІ Р‘РµР»РіСЂР°РґРµ СЃСЉРµРјРєСѓ РІРёРґРµРѕРєР»РёРїР° РЅР° РїРµСЃРЅСЋ "Bistra voda", РєРѕС‚РѕСЂС‹Р№ СЃРЅРёРјР°РµС‚ СЂРµР¶РёСЃСЃРµСЂ Р‘РѕСЂРёСЃ-Р‘РѕС‚Р° РњРёР»СЊРєРѕРІРёС‡, С…СѓРґРѕР¶РµСЃС‚РІРµРЅРЅС‹Р№ РґРёСЂРµРєС‚РѕСЂ РїСЂРѕС€Р»РѕРіРѕРґРЅРµРіРѕ Р•РІСЂРѕРІРёРґРµРЅРёСЏ. - РџРµСЂРІРѕРЅР°С‡Р°Р»СЊРЅРѕ, РјС‹ С…РѕС‚РµР»Рё СЃРЅСЏС‚СЊ РІРёРґРµРѕ РІ РЎР°СЂР°РµРІРѕ. РќРѕ РІ РїРµСЃРЅРµ РјС‹ РїРѕРµРј Рѕ С‚РµРїР»РѕРј РјР°Р№СЃРєРѕРј СѓС‚СЂРµ - Р° РІС‹ РІРёРґРёС‚Рµ РєР°РєР°СЏ С‚Р°Рј РїРѕРіРѕРґР°?, СЃРјРµРµС‚СЃСЏ РђС†Рѕ Р РµРіРёРЅР°. - Р’РёРґРµРѕ СЃРЅРёРјР°РµС‚СЃСЏ РїРѕ РјРѕС‚РёРІР°Рј РїРµСЃРЅРё. РћРЅРѕ РЅРµ РѕР±С‹С‡РЅРѕ Рё РєР°Рє Р±СѓРґС‚Рѕ РїРµСЂРµРЅРѕСЃРёС‚ РЅР°СЃ РІ РґСЂСѓРіРѕРµ РІСЂРµРјСЏ. РџРµСЃРЅСЏ Р·РІСѓС‡РёС‚ РєР°Рє РіРёРјРЅ, РјС‹ РїРѕСЃС‚Р°СЂР°Р»РёСЃСЊ РІРѕСЃСЃРѕР·РґР°С‚СЊ Р°С‚РјРѕСЃС„РµСЂСѓ С‡РµРіРѕ-С‚Рѕ, РЅР°РїРѕРјРёРЅР°СЋС‰РµРіРѕ 20Рµ РіРѕРґС‹ РїСЂРѕС€Р»РѕРіРѕ РІРµРєР°. РњС‹ РєР°Рє СЃРѕР»РґР°С‚С‹, РЅРѕ СЃРѕР»РґР°С‚С‹ Р»СЋР±РІРё - РѕР±СЉСЏСЃРЅСЏРµС‚ РђС†Рѕ, РґРѕР±Р°РІР»СЏСЏ, С‡С‚Рѕ РІ РєР»РёРїРµ Р±СѓРґРµС‚ РёСЃРїРѕР»СЊР·РѕРІР°РЅР° Рё Р°РЅРёРјР°С†РёСЏ. - РљРѕРЅРµС‡РЅРѕ, РјС‹ РїСЂРёРЅРёРјР°РµРј СѓС‡Р°СЃС‚РёРµ С‚РѕР»СЊРєРѕ СЂР°РґРё РїРѕР±РµРґС‹. РҐРѕСЂРѕС€Рѕ РїСЂРѕСЃС‚Рѕ СѓС‡Р°СЃС‚РІРѕРІР°С‚СЊ, РЅРѕ РѕС‡РµРЅСЊ РІР°Р¶РЅРѕ Рё РїРѕР±РµРґРёС‚СЊ. Р’РµРґСЊ РЅРёРєС‚Рѕ РЅРµ Р·Р°РїРѕРјРёРЅР°РµС‚ С‚РµС…, РєС‚Рѕ Р·Р°РЅСЏР» РІС‚РѕСЂРѕРµ Рё С‚СЂРµС‚СЊРµ РјРµСЃС‚Рѕ. РњС‹ РѕРїСЂРµРґРµР»РёР»РёСЃСЊ СЃ СЌС‚РёРј РїРѕРґС…РѕРґРѕРј СЃ СЃР°РјРѕРіРѕ РЅР°С‡Р°Р»Р°. РўРѕР»СЊРєРѕ СЃ С‚Р°РєРѕР№ РїРѕР·РёС†РёРµР№ РјРѕР¶РЅРѕ С‡РµРіРѕ-С‚Рѕ РґРѕР±РёС‚СЊСЃСЏ, РёРЅР°С‡Рµ Р»СѓС‡С€Рµ Рё РЅРµ РЅР°С‡РёРЅР°С‚СЊ. РњС‹ Р·Р°РїРёС€РµРј Р°РЅРіР»РёР№СЃРєСѓСЋ РІРµСЂСЃРёСЋ, РЅРѕ РґР»СЏ Р•РІСЂРѕРІРёРґРµРЅРёСЏ РјС‹ Р±СѓРґРµРј РїРµС‚СЊ РЅР° РЅР°С€РµРј СЂРѕРґРЅРѕРј СЏР·С‹РєРµ. The video for the song "Bistra voda" will be recorded in Sarajevo, confirmed head of BH Eurovision delegation Dejan Kukric. "This year we decided to show Sarajevo because for a long time we haven't recorded video for the Eurovision in our capital. 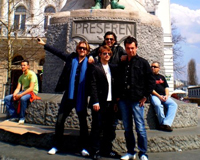 Regina is band from Sarajevo, and that is logican choice", said Kukric. 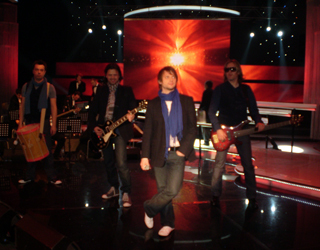 Video will be recorded in February, and possibly presented in BH Eurosong 2009 show on March 1st. Kukric also confirmed that Regina will be guests at Skopjefest in Macedonia on 21st of February and March 8 in Beovizija, Serbia Р’РёРґРµРѕ РЅР° РїРµСЃРЅСЋ "Bistra voda" Р±СѓРґРµС‚ СЃРЅСЏС‚Рѕ РІ РЎР°СЂР°РµРІРѕ, СЃРѕРѕР±С‰РёР» РіР»Р°РІР° РґРµР»РµРіР°С†РёРё Р”РµСЏРЅ РљСѓРєСЂРёС‡. "Р’ СЌС‚РѕРј РіРѕРґСѓ РјС‹ СЂРµС€РёР»Рё РїРѕРєР°Р·Р°С‚СЊ РЎР°СЂР°РµРІРѕ, РїРѕСЃРєРѕР»СЊРєСѓ РґР°РІРЅРѕ РЅРµ СЃРЅРёРјР°Р»Рё РєР»РёРїРѕРІ РґР»СЏ Р•РІСЂРѕРІРёРґРµРЅРёСЏ РІ РЅР°С€РµР№ СЃС‚РѕР»РёС†Рµ. Р РµРіРёРЅР° - СЌС‚Рѕ РЎР°СЂР°РµРІСЃРєР°СЏ РіСЂСѓРїРїР°, РїРѕСЌС‚РѕРјСѓ СЌС‚Рѕ Р±С‹Р» Р»РѕРіРёС‡РЅС‹Р№ РІС‹Р±РѕСЂ". 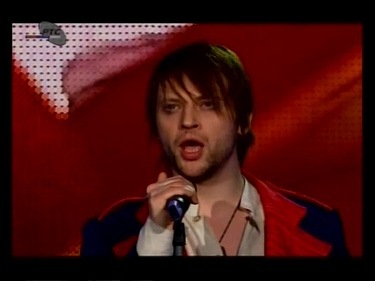 Р’РёРґРµРѕ Р±СѓРґРµС‚ СЃРЅСЏС‚Рѕ РІ С„РµРІСЂР°Р»Рµ Рё РІРѕР·РјРѕР¶РЅРѕ РїСЂРµР·РµРЅС‚РѕРІР°РЅРѕ 1РіРѕ РјР°СЂС‚Р° РЅР° С€РѕСѓ BH Eurosong 2009. РљСѓРєСЂРёС‡ С‚Р°РєР¶Рµ РїРѕРґС‚РІРµСЂРґРёР», С‡С‚Рѕ Р РµРіРёРЅР° СЃС‚Р°РЅСѓС‚ РіРѕСЃС‚СЏРјРё РјР°РєРµРґРѕРЅСЃРєРѕРіРѕ РѕС‚Р±РѕСЂР° 21РіРѕ С„РµРІСЂР°Р»СЏ Рё СЃРµСЂР±СЃРєРѕРіРѕ - 8РіРѕ РјР°СЂС‚Р°. According to the Vijesti Bosnian entry will be released in several versions, including Bosnian, English and Russian. "The song has typical "Russian sound" thus we plan to record version in this language, the result should be very interesting", told Alexandar Covic. He also revealed that the band plans to tour as many countries as possible in promotion of their entry and to film a music video for it. - Our expectations are not modest. 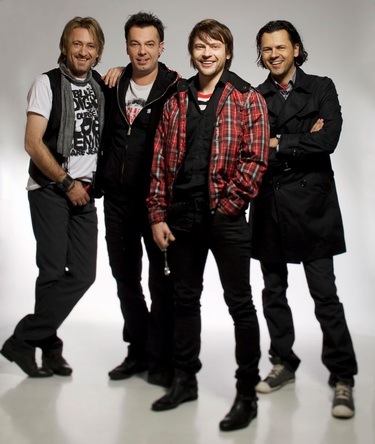 We want to achieve high result in Moscow and bring Eurovision to Sarajevo", said leader of the band. РљР°Рє СЃРѕРѕР±С‰Р°РµС‚ РіР°Р·РµС‚Р° Vijesti, Р‘РѕСЃРЅРёР№СЃРєР°СЏ РїРµСЃРЅСЏ Р±СѓРґРµС‚ РІС‹РїСѓС‰РµРЅР° РЅР° РЅРµСЃРєРѕР»СЊРєРёС… СЏР·С‹РєР°С…, РІ С‚РѕРј С‡РёСЃР»Рµ Р±РѕСЃРЅРёР№СЃРєРѕРј, Р°РЅРіР»РёР№СЃРєРѕРј Рё СЂСѓСЃСЃРєРѕРј. РџРµСЃРЅСЏ РёРјРµРµС‚ РѕС‡РµРЅСЊ "СЂСѓСЃСЃРєРѕРµ Р·РІСѓС‡Р°РЅРёРµ" Рё РјС‹ РїР»Р°РЅРёСЂСѓРµРј Р·Р°РїРёСЃР°С‚СЊ РІРµСЂСЃРёСЋ РЅР° СЌС‚РѕРј СЏР·С‹РєРµ - СЂРµР·СѓР»СЊС‚Р°С‚ РґРѕР»Р¶РµРЅ Р±С‹С‚СЊ РѕС‡РµРЅСЊ РёРЅС‚РµСЂРµСЃРЅС‹Рј", СЂР°СЃСЃРєР°Р·Р°Р» РђР»РµРєСЃР°РЅРґР°СЂ Р¦РѕРІРёС‡. РћРЅ С‚Р°РєР¶Рµ СЃРѕРѕР±С‰РёР», С‡С‚Рѕ РіСЂСѓРїРїР° РїР»Р°РЅРёСЂСѓРµС‚ СЃРѕРІРµСЂС€РёС‚СЊ С‚СѓСЂ РїРѕ РЅР°РёР±РѕР»СЊС€РµРјСѓ РІРѕР·РјРѕР¶РЅРѕРјСѓ РєРѕР»РёС‡РµСЃС‚РІСѓ СЃС‚СЂР°РЅ РїРµСЂРµРґ РєРѕРЅРєСѓСЂСЃРѕРј, Р° С‚Р°РєР¶Рµ СЃРЅСЏС‚СЊ РІРёРґРµРѕРєР»РёРї РЅР° РєРѕРЅРєСѓСЂСЃРЅСѓСЋ РїРµСЃРЅСЋ. - РќРµ Р±СѓРґСѓ СЃРєСЂРѕРјРЅРёС‡Р°С‚СЊ, РјС‹ С…РѕС‚РёРј РґРѕСЃС‚РёС‡СЊ СЃР°РјРѕРіРѕ РІС‹СЃРѕРєРѕРіРѕ РјРµСЃС‚Р° РІ РњРѕСЃРєРІРµ Рё РїСЂРёРІРµР·С‚Рё Р•РІСЂРѕРІРёРґРµРЅРёРµ РІ РЎР°СЂР°РµРІРѕ, - Р·Р°СЏРІРёР» Р»РёРґРµСЂ РіСЂСѓРїРїС‹. 25/12 Delivering News First! Hari Varesanovic, also known as Hari Mata Hari, has submitted entry to Bosnian preselection this year. Singer is also composer of his entry, while lyrics are written by Dino Merlin (ESC 1999 performer and 1993 lyricist) and Fahruddin Pecikoza (lyricist of ESC 1993 and 2006 entries). Song is written in traditional sevdalinka style. His entry is among those 70 received by Bosnian national broadcaster. "Nowhere in the rules it states that former entrants can not enter again", commented head of Bosnian delegation Dejan Kukric to Dnevni Avaz, however refusing to give further comments about Hari's entry and chances. Kukric also mentioned that they are very pleased by number and quality of entries, many of which came from well-known songwriters. Bosnian press also speculates about possible withdrawal of Bosnia due to financial problems of broadcaster. "Theoretically, everything is possible, but Steering committee of BHRT has approved our participation in 2009 contest. We will try to do it with minimal expenses", commented Kukric. Bosnian jury will select their entrant on 12th of January. РҐР°СЂРё Р’Р°СЂРµСЃР°РЅРѕРІРёС‡, С‚Р°РєР¶Рµ РёР·РІРµСЃС‚РЅС‹Р№ РєР°Рє РҐР°СЂРё РњР°С‚Р° РҐР°СЂРё, РїРѕРґР°Р» Р·Р°СЏРІРєСѓ РЅР° СѓС‡Р°СЃС‚РёРµ РІ Р‘РѕСЃРЅРёР№СЃРєРѕРј РѕС‚Р±РѕСЂРµ СЌС‚РѕРіРѕ РіРѕРґР°. РџРµРІРµС† С‚Р°РєР¶Рµ СЏРІР»СЏРµС‚СЃСЏ РєРѕРјРїРѕР·РёС‚РѕСЂРѕРј СЃРѕР±СЃС‚РІРµРЅРЅРѕР№ РїРµСЃРЅРё, С‚РµРєСЃС‚ Рє РєРѕС‚РѕСЂРѕР№ РЅР°РїРёСЃР°Р»Рё Р”РёРЅРѕ РњРµСЂР»РёРЅ (СѓС‡Р°СЃС‚РЅРёРє Р•РІСЂРѕРІРёРґРµРЅРёСЏ 1999, Р°РІС‚РѕСЂ РїРµСЃРЅРё 1993) Рё Р¤Р°С…СЂСѓРґРґРёРЅ РџРµС†РёРєРѕР·Р° (Р°РІС‚РѕСЂ РїРµСЃРµРЅ 1993 Рё 2006). РџРµСЃРЅСЏ РЅР°РїРёСЃР°РЅР° РІ С‚СЂР°РґРёС†РёРѕРЅРЅРѕРј СЃС‚РёР»Рµ СЃРµРІРґР°Р»РёРЅРєР°. РџРµСЃРЅСЏ Р’Р°СЂРµСЃР°РЅРѕРІРёС‡Р° - РѕРґРЅР° РёР· 70 Р·Р°СЏРІРѕРє, РїРѕР»СѓС‡РµРЅРЅС‹С… Р‘РѕСЃРЅРёР№СЃРєРёРј РІРµС‰Р°С‚РµР»РµРј. "РќРёРіРґРµ РІ РїСЂР°РІРёР»Р°С… РЅРµ РіРѕРІРѕСЂРёС‚СЃСЏ Рѕ С‚РѕРј, С‡С‚Рѕ РЅРµР»СЊР·СЏ СѓС‡Р°СЃС‚РІРѕРІР°С‚СЊ РїРѕРІС‚РѕСЂРЅРѕ", СЃРѕРѕР±С‰РёР» РіР»Р°РІР° РґРµР»РµРіР°С†РёРё Р‘РѕСЃРЅРёРё Рё Р“РµСЂС†РµРіРѕРІРёРЅС‹ Р”РµСЏРЅ РљСѓРєСЂРёС‡ РіР°Р·РµС‚Рµ Р”РЅРµРІРЅРё РђРІР°Р·, РѕРґРЅР°РєРѕ РѕС‚РєР°Р·Р°РІС€РёСЃСЊ СЃРѕРѕР±С‰РёС‚СЊ РґРѕРїРѕР»РЅРёС‚РµР»СЊРЅСѓСЋ РёРЅС„РѕСЂРјР°С†РёСЋ Рѕ РїРµСЃРЅРµ Рё РѕС†РµРЅРёС‚СЊ С€Р°РЅСЃС‹ РҐР°СЂРё. РљСѓРєСЂРёС‡ С‚Р°РєР¶Рµ РѕС‚РјРµС‚РёР», С‡С‚Рѕ РѕРЅРё РѕС‡РµРЅСЊ РґРѕРІРѕР»СЊРЅС‹ С‡РёСЃР»РѕРј Рё РєР°С‡РµСЃС‚РІРѕРј Р·Р°СЏРІРѕРє, РјРЅРѕРіРёРµ РёР· РєРѕС‚РѕСЂС‹С… РїРѕСЃС‚СѓРїРёР»Рё РѕС‚ РёР·РІРµСЃС‚РЅС‹С… РєРѕРјРїРѕР·РёС‚РѕСЂРѕРІ. Р‘РѕСЃРЅРёР№СЃРєР°СЏ РїСЂРµСЃСЃР° С‚Р°РєР¶Рµ СЃРїРµРєСѓР»РёСЂСѓРµС‚ Рѕ РІРѕР·РјРѕР¶РЅРѕРј СЃРЅСЏС‚РёРё Р‘РѕСЃРЅРёРё СЃ РєРѕРЅРєСѓСЂСЃР° РїРѕ С„РёРЅР°РЅСЃРѕРІС‹Рј РїСЂРёС‡РёРЅР°Рј. "РўРµРѕСЂРµС‚РёС‡РµСЃРєРё, РІРѕР·РјРѕР¶РЅРѕ РІСЃРµ, РЅРѕ РѕСЂРіРєРѕРјРёС‚РµС‚ BHRT СѓС‚РІРµСЂРґРёР» РЅР°С€Рµ СѓС‡Р°СЃС‚РёРµ РІ РєРѕРЅРєСѓСЂСЃРµ 2009. РњС‹ РїРѕСЃС‚Р°СЂР°РµРјСЃСЏ СЃРґРµР»Р°С‚СЊ СЌС‚Рѕ СЃ РјРёРЅРёРјР°Р»СЊРЅС‹РјРё С„РёРЅР°РЅСЃРѕРІС‹РјРё Р·Р°С‚СЂР°С‚Р°РјРё", РїСЂРѕРєРѕРјРјРµРЅС‚РёСЂРѕРІР°Р» РљСѓРєСЂРёС‡. Р‘РѕСЃРЅРёР№СЃРєРѕРµ Р¶СЋСЂРё РІС‹Р±РµСЂРµС‚ СЃРІРѕРµРіРѕ РїСЂРµРґСЃС‚Р°РІРёС‚РµР»СЏ 12РіРѕ СЏРЅРІР°СЂСЏ. 23/12 Submission period in Bosnia and Herzegovina has ended. 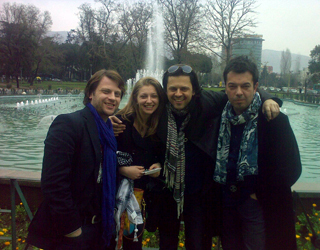 Around 50 entries have been received, however representative of Bosnia and Herzegovina in Eurovision 2009 will not be known until mid-January. According to Dejan Kukric, director of BH Eurosong, the reason for this is the impossibility of gathering expert jury during the holidays. "Because of the upcoming Christmas and New Year holidays, jury will sit only on 12th January - said Kukric to Dnevni Avaz. Regarding the project BH Eurosong, where for the last 3 years Eurovision participant is selected internally, Kukric noted: "I am the first for the festival, but the Public Service of Bosnia and Herzegovina, which in general is organizing this selection, has no money for the open national final. It would be Sisyphean task, because a lot of money would be needed to achieve production standards such as Dora or Beoviziji". РўРµРј РІСЂРµРјРµРЅРµРј, Р·Р°РІРµСЂС€РёР»СЃСЏ РїРµСЂРёРѕРґ РїСЂРёРµРјР° Р·Р°СЏРІРѕРє РІ СЃРѕСЃРµРґРЅРµР№ Р‘РѕСЃРЅРёРё Рё Р“РµСЂС†РµРіРѕРІРёРЅРµ. Р‘С‹Р»Рѕ РїРѕР»СѓС‡РµРЅРѕ РѕРєРѕР»Рѕ 50 Р·Р°СЏРІРѕРє, РѕРґРЅР°РєРѕ РїСЂРµРґСЃС‚Р°РІРёС‚РµР»СЊ Р‘РѕСЃРЅРёРё РЅР° Р•РІСЂРѕРІРёРґРµРЅРёРё 2009 РЅРµ Р±СѓРґРµС‚ РІС‹Р±СЂР°РЅ РґРѕ СЃРµСЂРµРґРёРЅСЏ СЏРЅРІР°СЂСЏ. РљР°Рє РѕР±СЉСЏСЃРЅРёР» РґРёСЂРµРєС‚РѕСЂ BH Eurosong Р”РµСЏРЅ РљСѓРєСЂРёС‡, РЅРµРІРѕР·РјРѕР¶РЅРѕ Р±СѓРґРµС‚ СЃРѕР±СЂР°С‚СЊ Р¶СЋСЂРё РІ РЅРѕРІРѕРіРѕРґРЅРёРµ Рё СЂРѕР¶РґРµСЃС‚РІРµРЅСЃРєРёРµ РїСЂР°Р·РґРЅРёРєРё, РїРѕСЌС‚РѕРјСѓ РµРіРѕ Р·Р°СЃРµРґР°РЅРёРµ Р·Р°РїР»Р°РЅРёСЂРѕРІР°РЅРѕ С‚РѕР»СЊРєРѕ РЅР° 12 СЏРЅРІР°СЂСЏ. РљР°СЃР°С‚РµР»СЊРЅРѕ Р¶Рµ РїСЂРѕРµРєС‚Р° BH Eurosong, РІ РєРѕС‚РѕСЂРѕРј СѓР¶Рµ 3 РіРѕРґР° РїСЂРµРґСЃС‚Р°РІРёС‚РµР»СЊ СЃС‚СЂР°РЅС‹ РѕС‚Р±РёСЂР°РµС‚СЃСЏ РІРЅСѓС‚СЂРµРЅРЅРёРј РѕС‚Р±РѕСЂРѕРј, РљСѓРєСЂРёС‡ Р·Р°РјРµС‚РёР»: "РЇ Р±С‹Р» Р±С‹ РїРµСЂРІС‹Рј Р·Р° РѕС‚РєСЂС‹С‚С‹Р№ РѕС‚Р±РѕСЂ, РЅРѕ Сѓ С‚РµР»РµРєРѕРјРїР°РЅРёРё РЅРµС‚ РЅР° СЌС‚Рѕ РґРµРЅРµРі. Р­С‚Рѕ Р±С‹Р» Р±С‹ СЃРёР·РёС„РѕРІ С‚СЂСѓРґ, РїРѕС‚СЂРµР±РѕРІР°Р»РёСЃСЊ Р±С‹ РѕРіСЂРѕРјРЅС‹Рµ СЃСЂРµРґСЃС‚РІР°, С‡С‚РѕР±С‹ РґРѕСЃС‚РёС‡СЊ СѓСЂРѕРІРЅСЏ РѕС‚Р±РѕСЂРѕРІ РІ РҐРѕСЂРІР°С‚РёРё РёР»Рё РЎРµСЂР±РёРё". Bosnian broadcaster has published preselection rules. Again internal selection is conducted, with deadline to submit entries set on 20th of December. Entries are accepted both from performers (Bosnian citizen) and from songwriters. Preselection jury will make their choice on 12th of January. 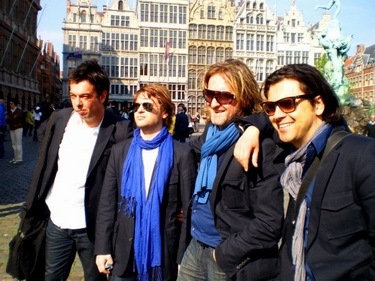 The song will be presented on March 1st in show BH Eurosong Show 2009. Р‘РѕСЃРЅРёР№СЃРєР°СЏ С‚РµР»РµРєРѕРјРїР°РЅРёСЏ РѕРїСѓР±Р»РёРєРѕРІР°Р»Р° РїСЂР°РІРёР»Р° РЅР°С†РёРѕРЅР°Р»СЊРЅРѕРіРѕ РѕС‚Р±РѕСЂР°. РЎРЅРѕРІР°, РѕРЅ Р±СѓРґРµС‚ РїСЂРѕРІРµРґРµРЅ РІ Р·Р°РєСЂС‹С‚РѕР№ С„РѕСЂРјРµ, РїСЂРёРµРј Р·Р°СЏРІРѕРє РїСЂРѕРґР»РёС‚СЃСЏ РґРѕ 20РіРѕ РґРµРєР°Р±СЂСЏ. Р—Р°СЏРІРєРё РїСЂРёРЅРёРјР°СЋС‚СЃСЏ РєР°Рє РѕС‚ РёСЃРїРѕР»РЅРёС‚РµР»РµР№ (РіСЂР°Р¶РґР°РЅ Р‘РѕСЃРЅРёРё), С‚Р°Рє Рё РѕС‚ Р°РІС‚РѕСЂРѕРІ РїРµСЃРµРЅ. Р—Р°СЃРµРґР°РЅРёРµ Р¶СЋСЂРё, РєРѕС‚РѕСЂРѕРµ РѕРїСЂРµРґРµР»РёС‚ РїРѕР±РµРґРёС‚РµР»СЏ, СЃРѕСЃС‚РѕРёС‚СЃСЏ 12РіРѕ СЏРЅРІР°СЂСЏ. 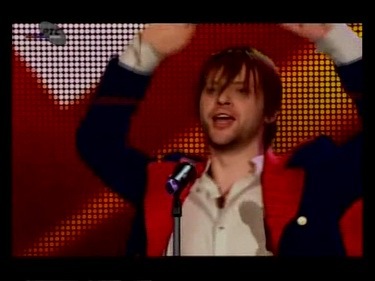 РџСЂРµР·РµРЅС‚Р°С†РёСЏ РїРµСЃРЅРё СЃРѕСЃС‚РѕРёС‚СЃСЏ 1РіРѕ РјР°СЂС‚Р° РІ С€РѕСѓ BH Eurosong Show 2009.